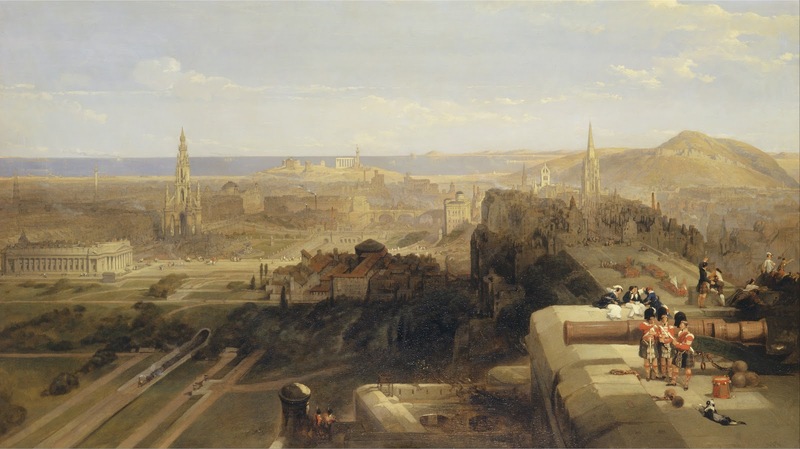 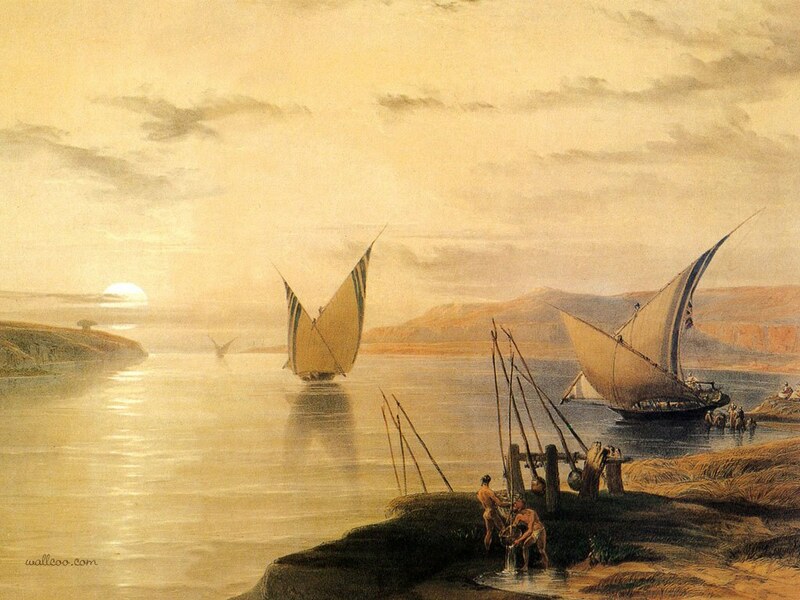 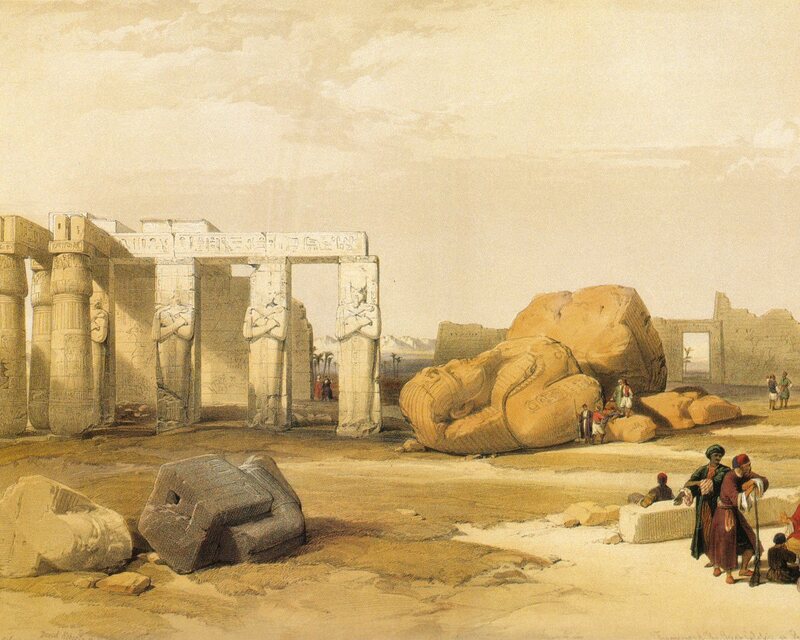 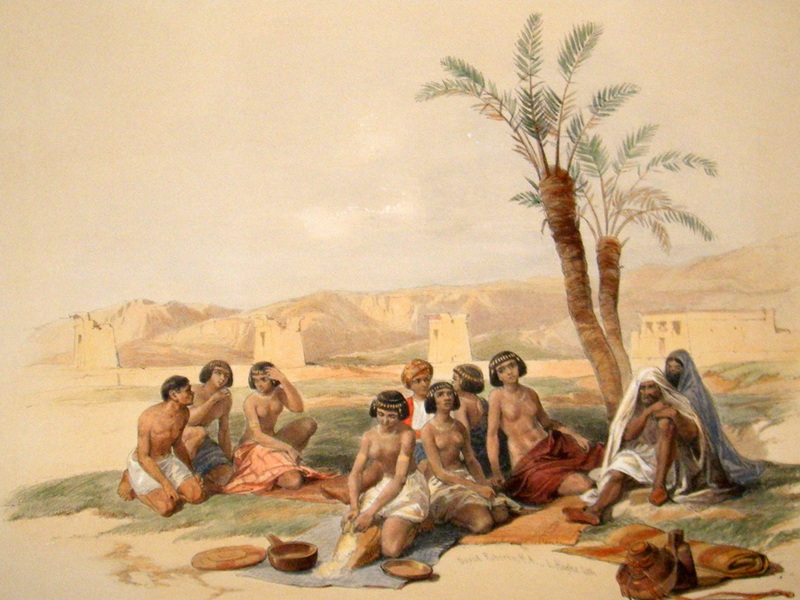 Scottish artist David Roberts (1796-1864) was instrumental in helping to stimulate a growing fascination with the Near East by Europeans, especially within British society where biblical accounts of the rise and fall of empires were familiar, as much intellectual fare as anything else and staple bread and butter for religious imagination. 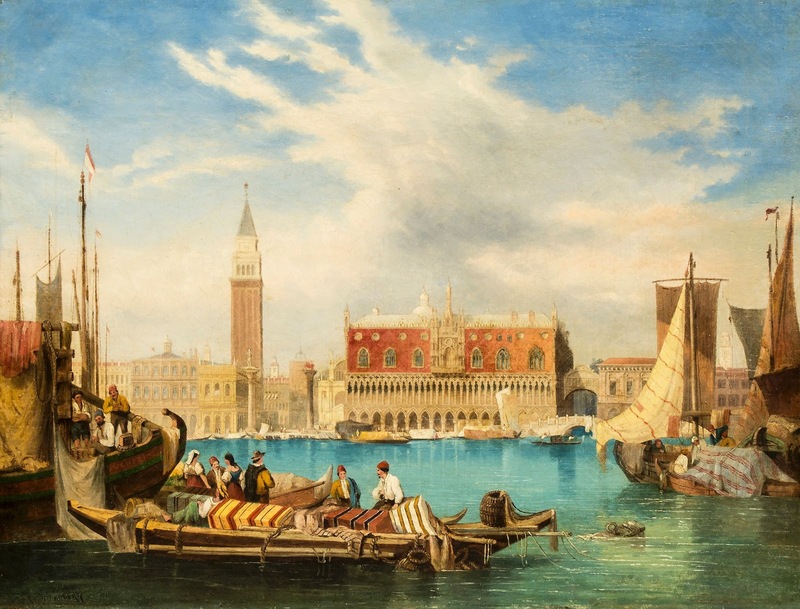 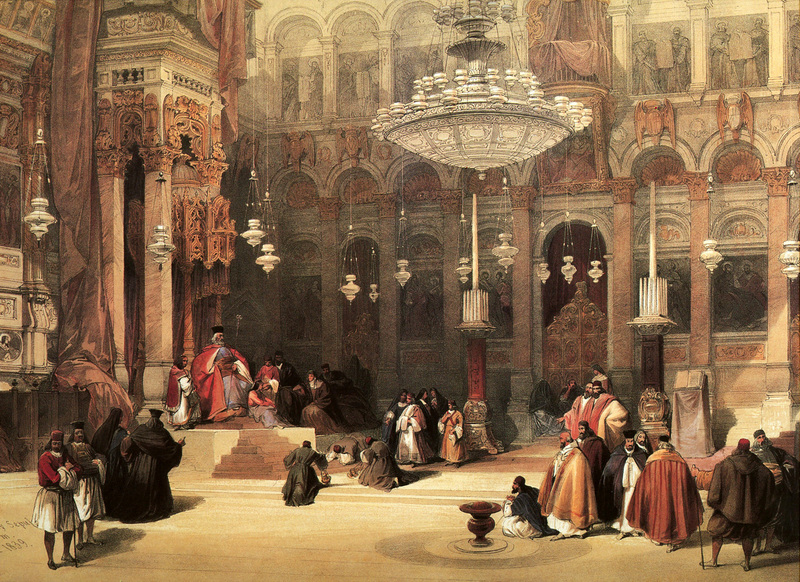 The Romantic Movement’s eschewing of Enlightenment ideals turned instead to exotic themes and ruins, also replacing Neoclassicism with Orientalism. 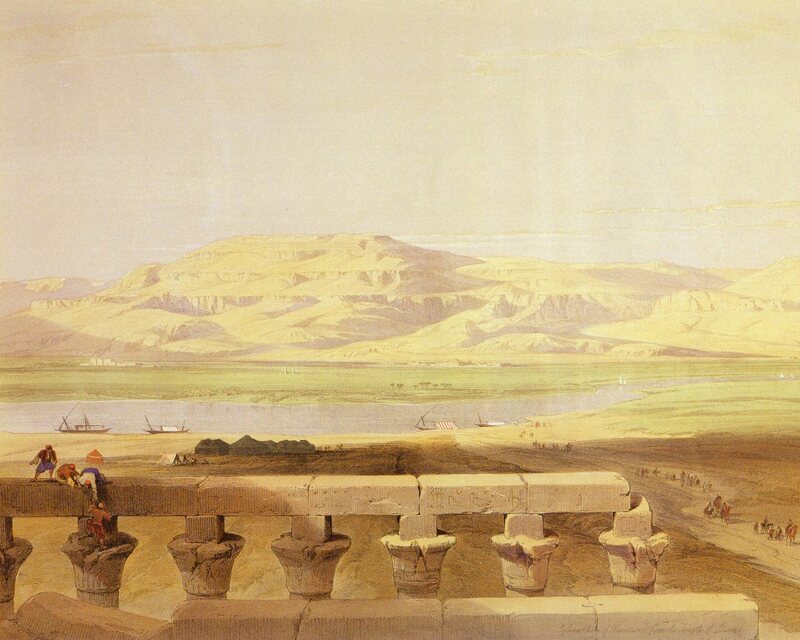 Napoleon’s Egyptian campaign of 1798 where artists were part of the entourage had paved the way for a few to gain and share a glimpse of a world that had seemingly changed little for a millennium or more. 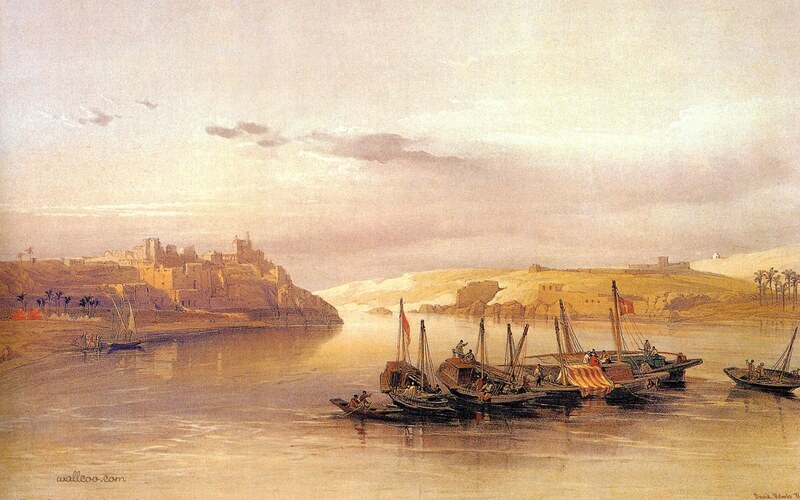 French Romantic painters like Delacroix traveled to Morocco in 1832 and his sketches and paintings from this period captured and spread the lure of Orientalism. 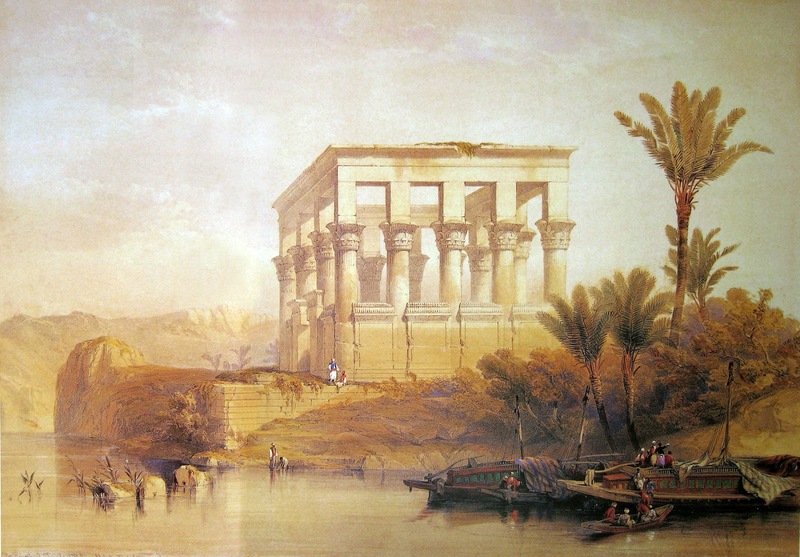 Roberts would be one of the pioneers from the Anglophone world to satisfy the curiosity of a considerably literate society. 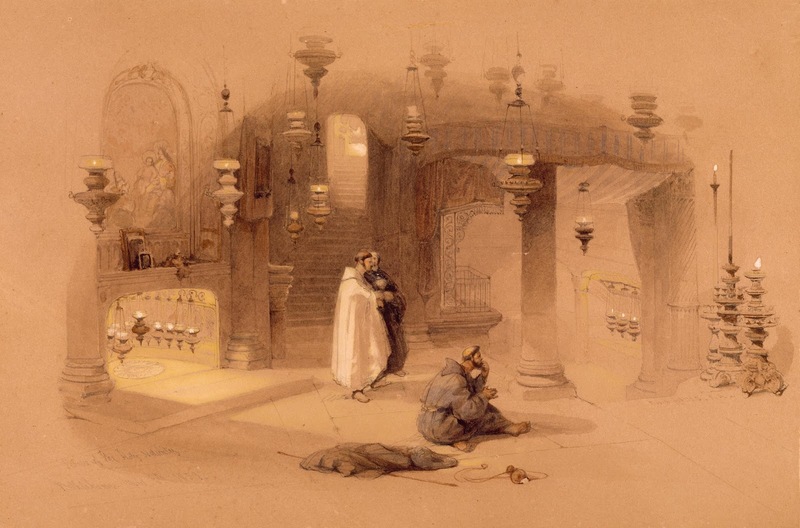 After establishing himself first in Scotland and then London where he had excelled in stage work design and theater set painting including at Drury Lane Theatre and for opera at Covent Garden, Roberts served as president of the Society of British Artists in 1831. 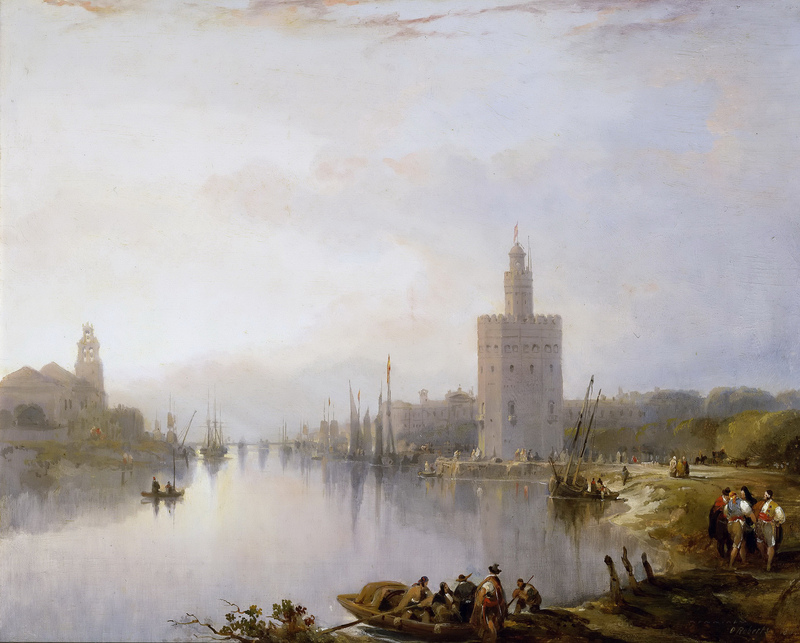 Such eminent artists as J. M. W. Turner, John Constable and Edwin Landseer respected him. 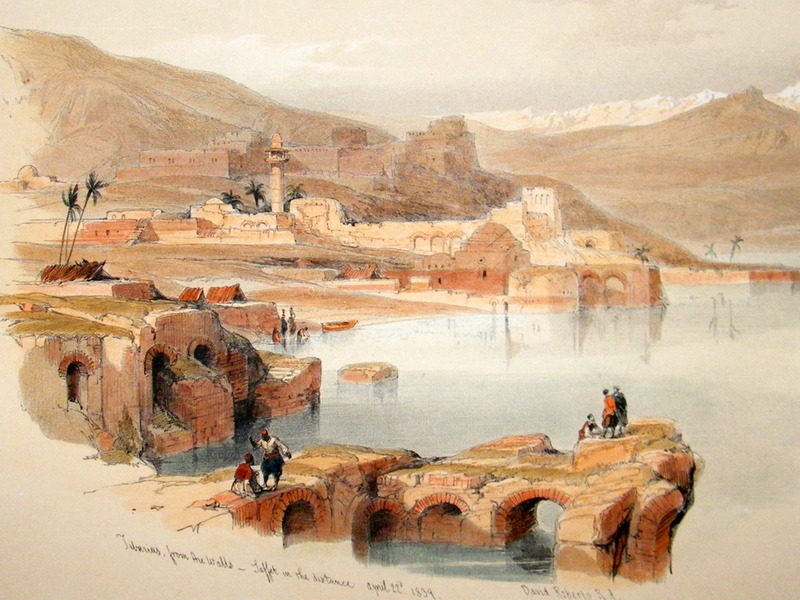 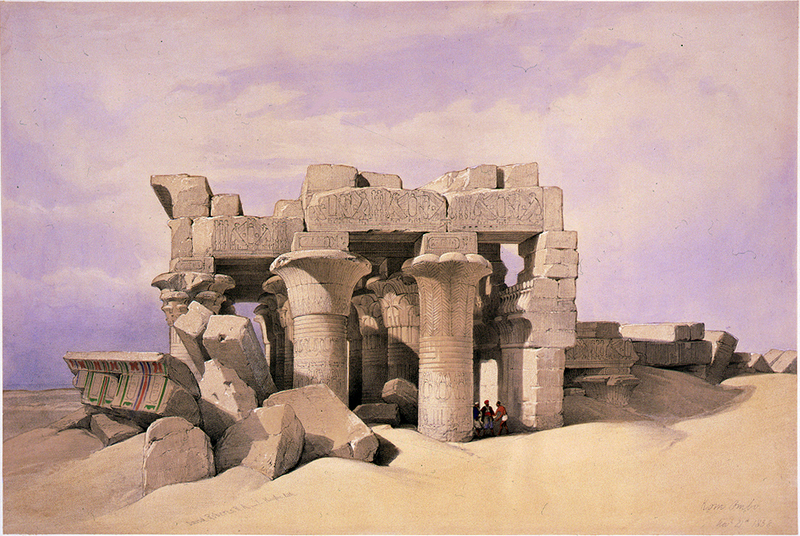 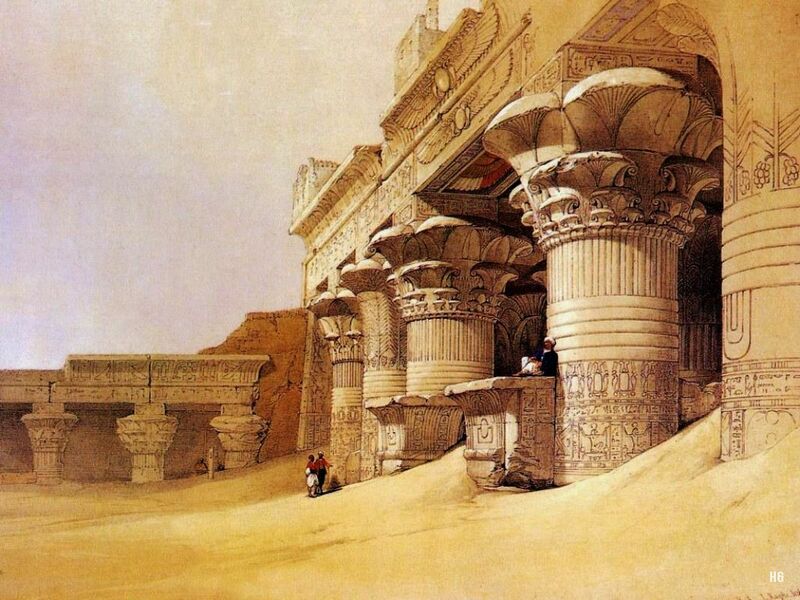 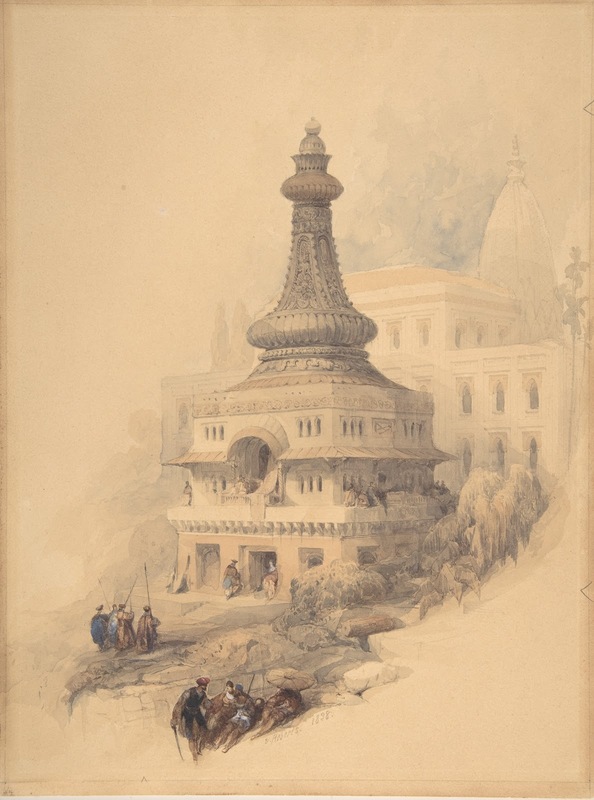 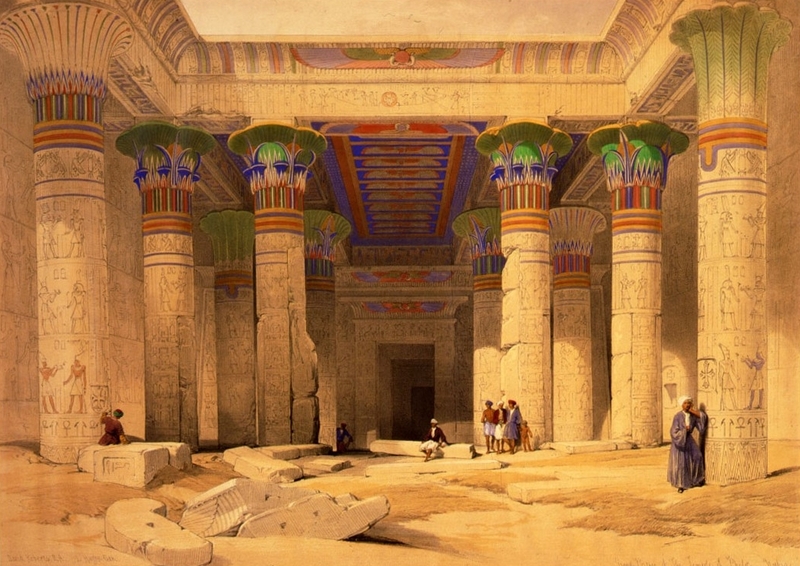 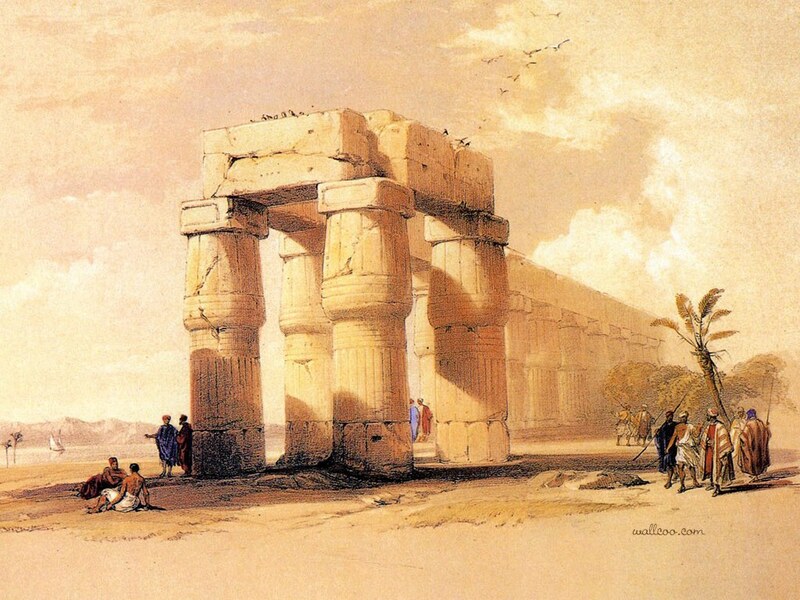 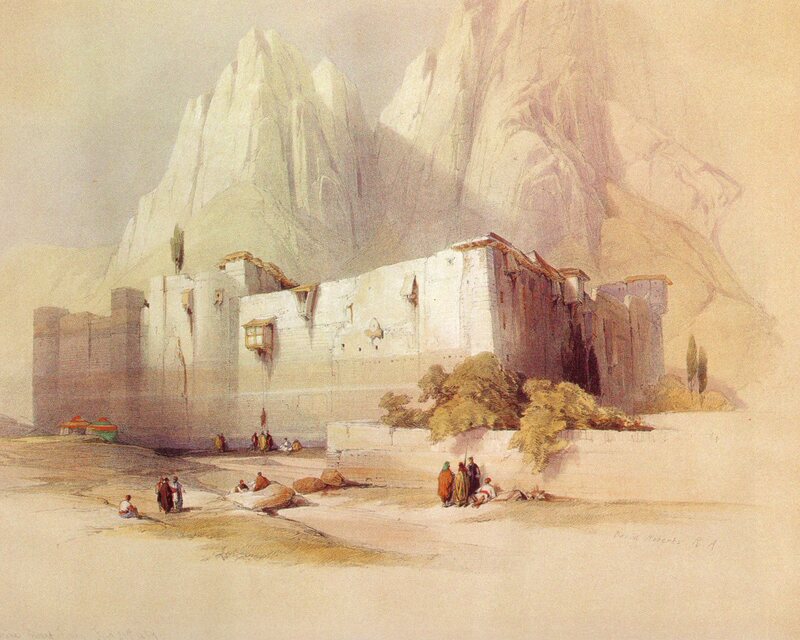 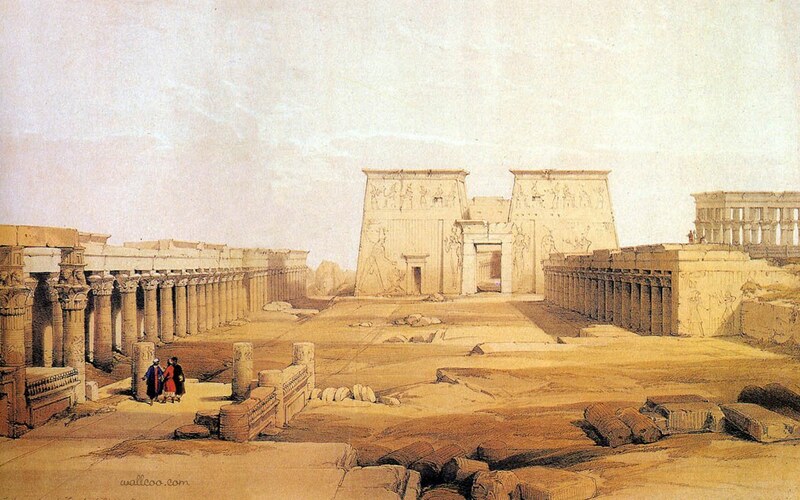 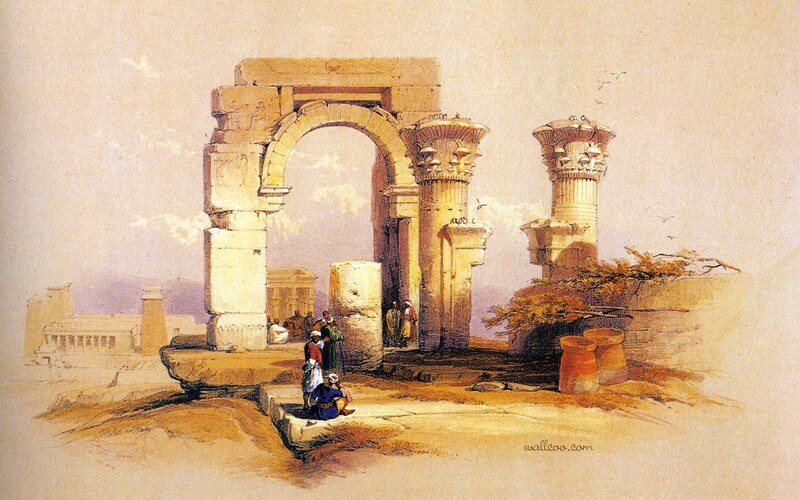 Roberts was influenced by the counsel of Turner to only concentrate on fine art thereafter, and Orientalism was one of the avenues open to Roberts after he had already sketched and painted many European ruins prior to 1838, especially since almost no one else had set a precedent for exploring and rendering the remains of the Near East. 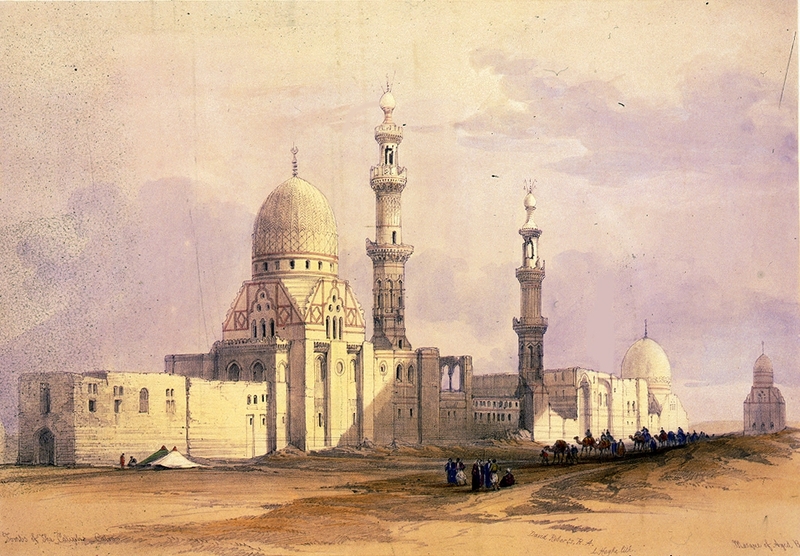 Roberts traveled to Egypt and the Ottoman Near East on an extended tour beginning in 1838. 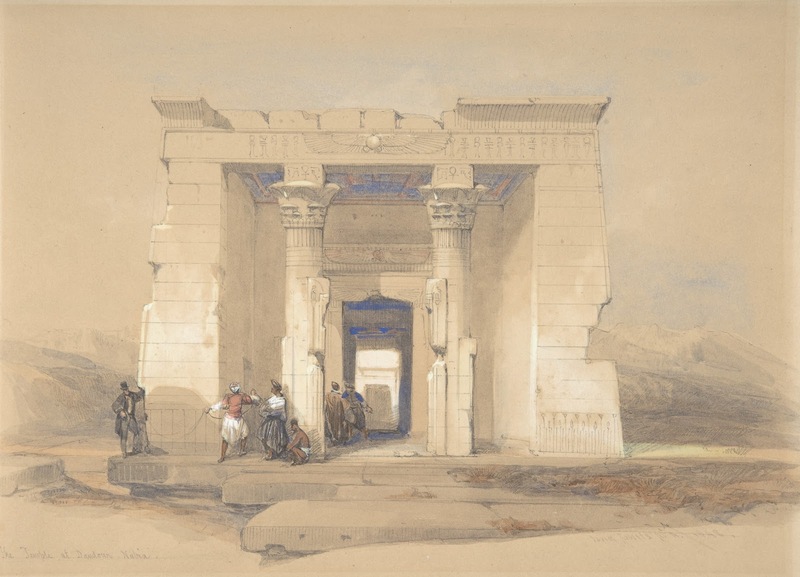 Because, like Rembrandt, he understood that he could only sell single pieces of art in the medium of painting, Roberts took sketchbooks and watercolors in order to later create lithographs that could have almost an unlimited distribution. 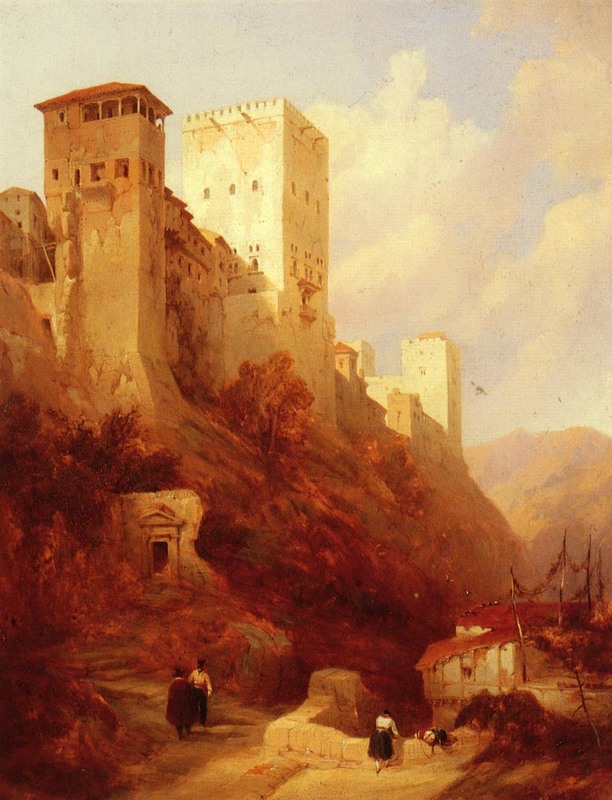 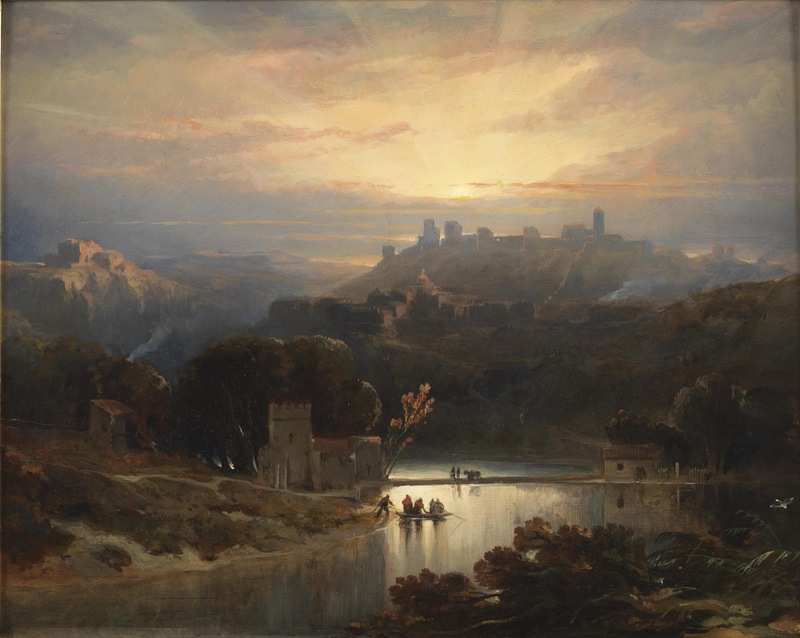 Roberts would be one of the first artists to render landscapes and peoples that his contemporaries would have imagined stepping out of biblical narratives, filling a void with a savvy combination of theatrical realism and Romantic ambience that imagination could previously only conjure in fantasy. 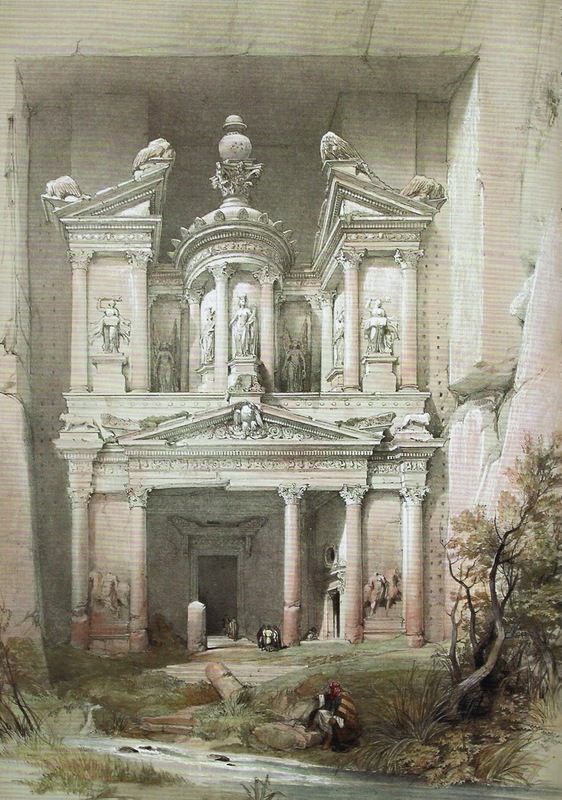 But unlike Rembrandt who hardly traveled at all, Roberts would model the real places for his biblical topographies. 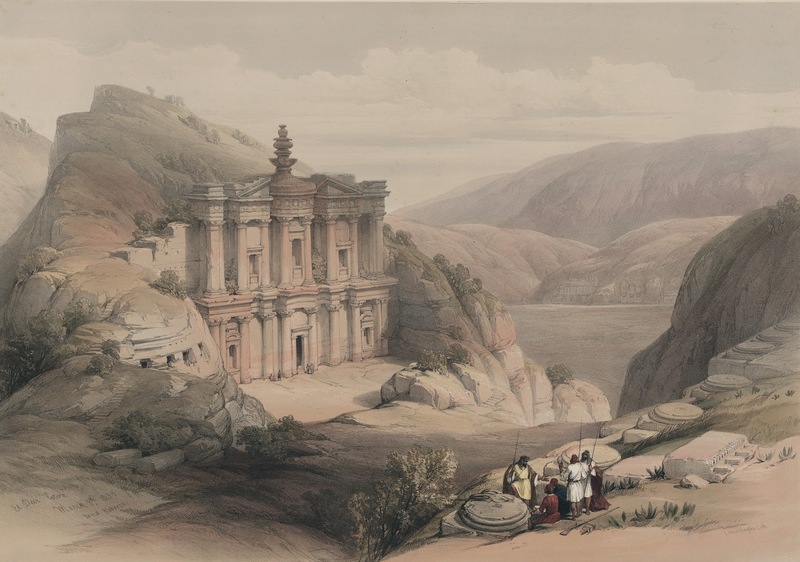 Roberts’ travels from 1838-39 - often in Ottoman garb - took him deep into Egypt and Nubia, then back up to Sinai and the Levant and what was traditionally the Holy Land and Jordan and Lebanon. 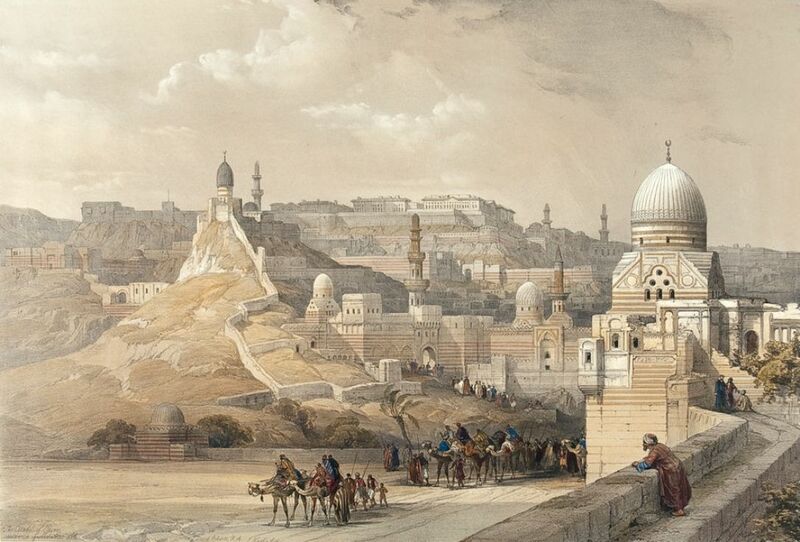 In Egypt he was received in 1839 by Egypt’s ruler Muhammad Ali Pasha (1769-1849) the Ottoman representative in Alexandria and whose control over much of the region of Egypt and the Levant stabilized it for new travel by Westerners. 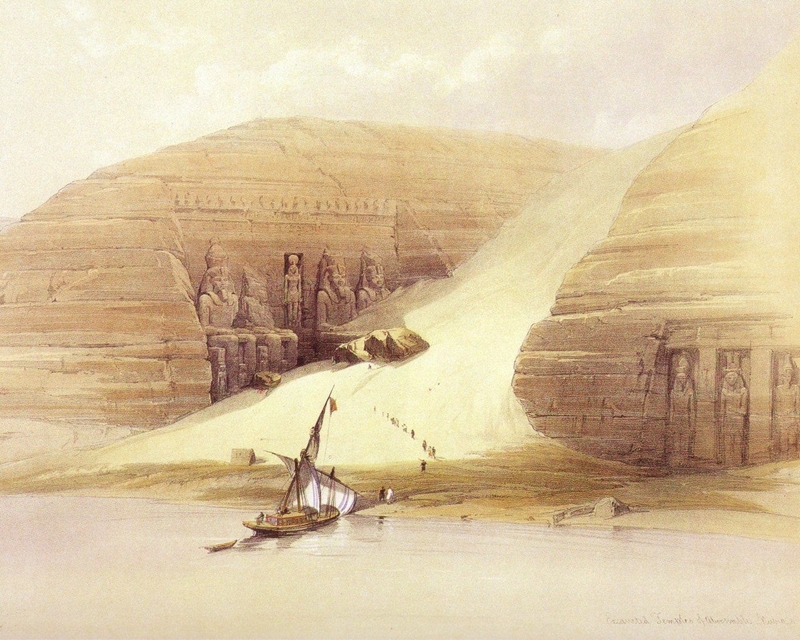 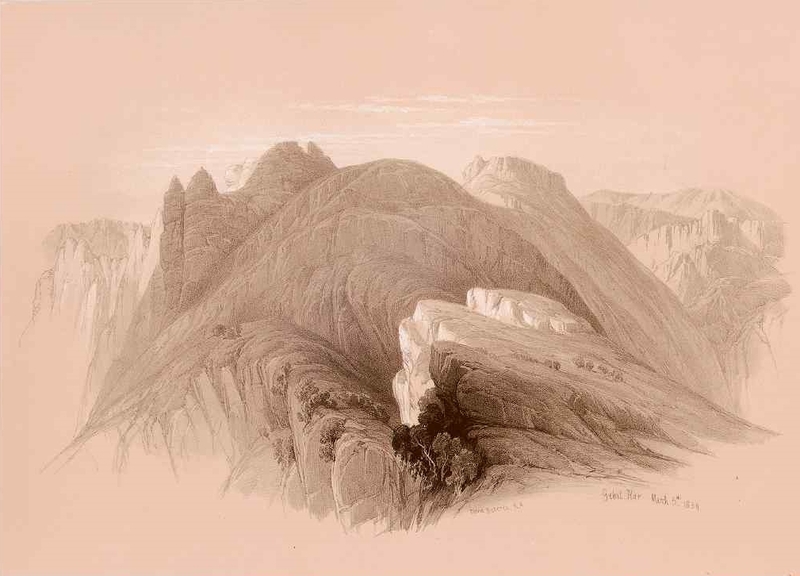 Roberts visited Nubia and Abu Simbel in November and was one of the first Westerners to sketch portions of Abu Simbel and Petra, including the Al Khazneh, both sites largely unknown to Europeans until made known by Swiss explorer-adventurer Johann Ludwig Burckhardt (1784-1817) from his travels between 1812-17. 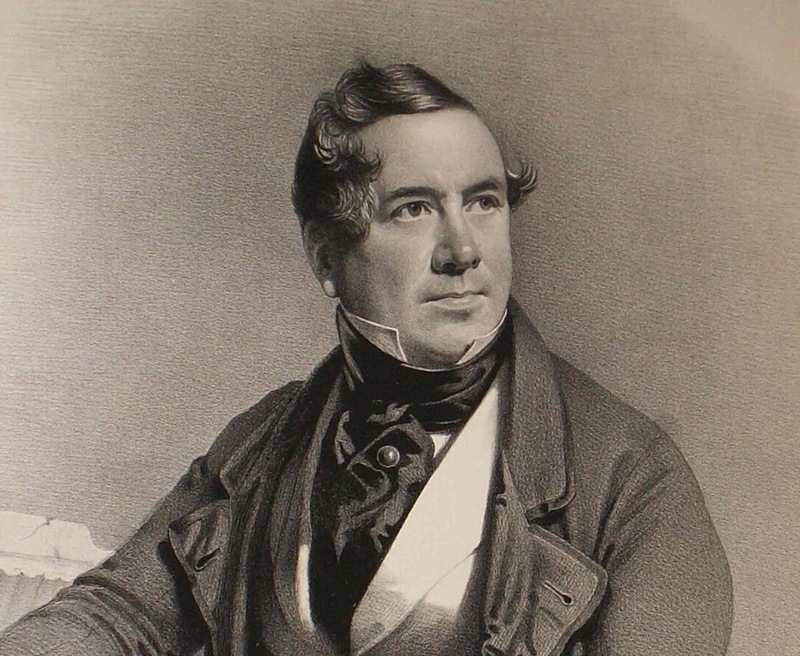 It is probably not coincidental that Burckhardt’s Lausanne family had antiquarian acquaintances with both Edward Gibbon and Johann von Goethe. 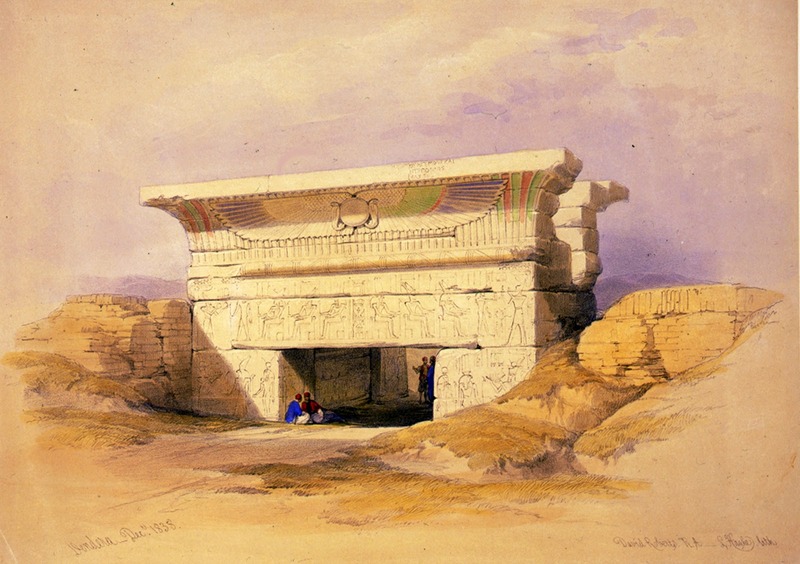 John Lloyd Stephens - a pioneer explorer who later studied Maya sites in Central America - was another who traveled through Palestine in 1836, also sketching many ruins although not as assiduously or with such a trained eye as Roberts, not that even Roberts was attempting archaeological rendering since there was no precedent for Roberts. 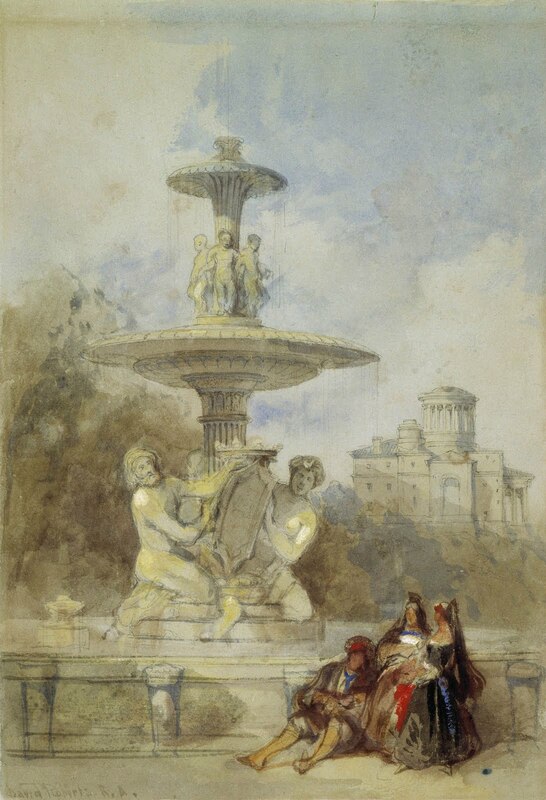 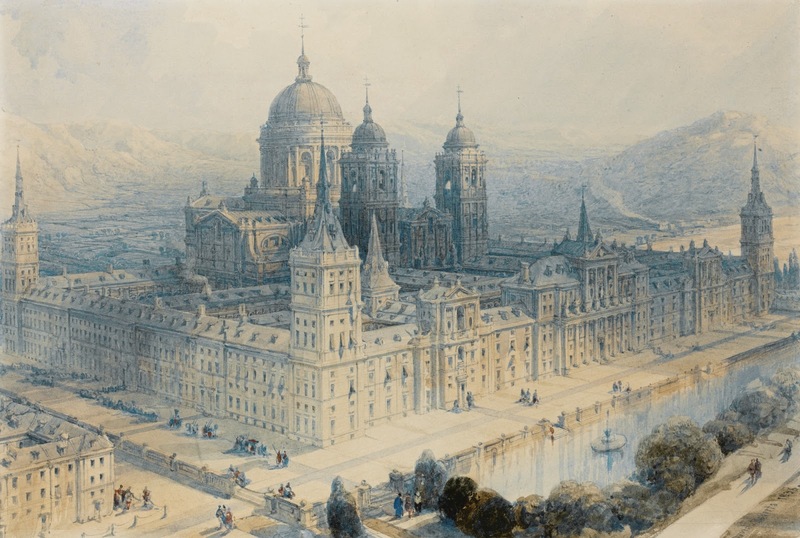 When Roberts returned to Britain and eventually to Edinburgh, he set about transforming his sketches and watercolors into lithographs, working with engraver Louis Haghe from 1842-49 to produce 248 splendid plates that he sold in subscription series. 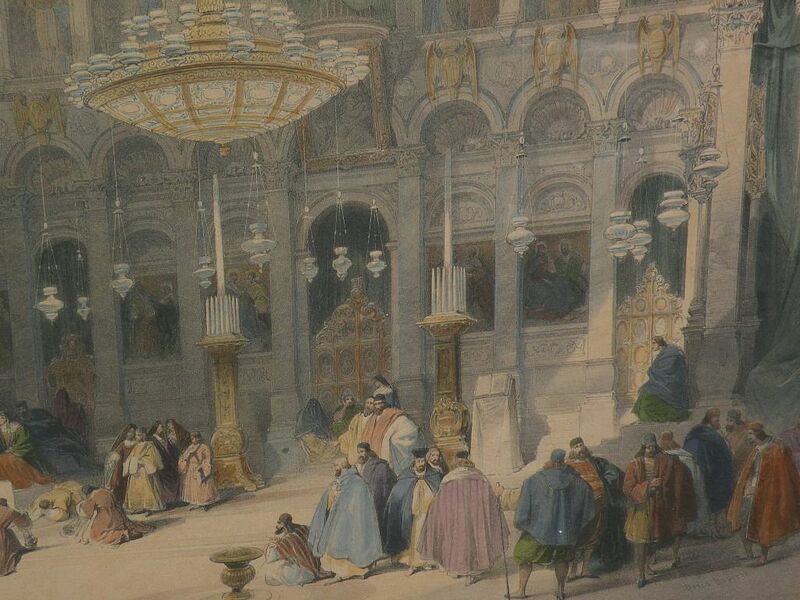 Because he was already known as an artist, his first subscriber appears to have been Queen Victoria herself, whose patronage as the royal arbiter of taste was a ready aid to making Roberts’ Near Eastern images highly popular. 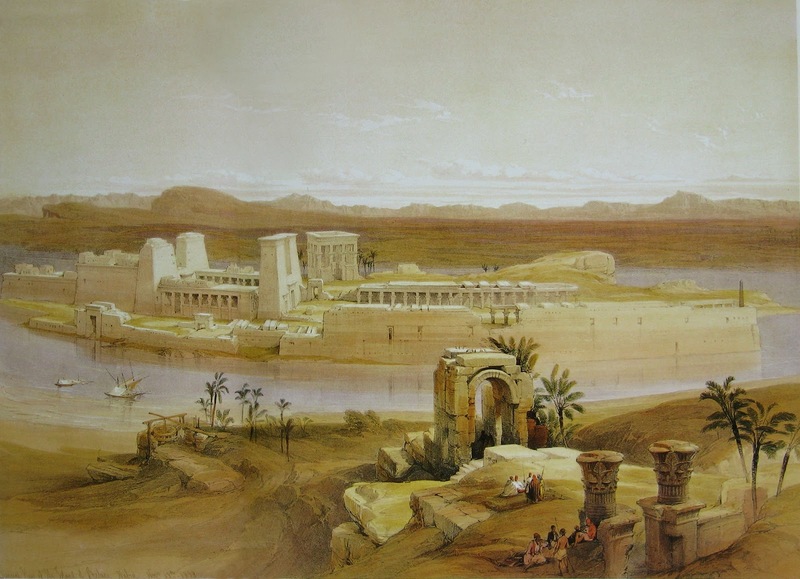 The appearance of Roberts’ lithographic scenes of the Near East anticipates the establishment of formal archaeology as an academic discipline. 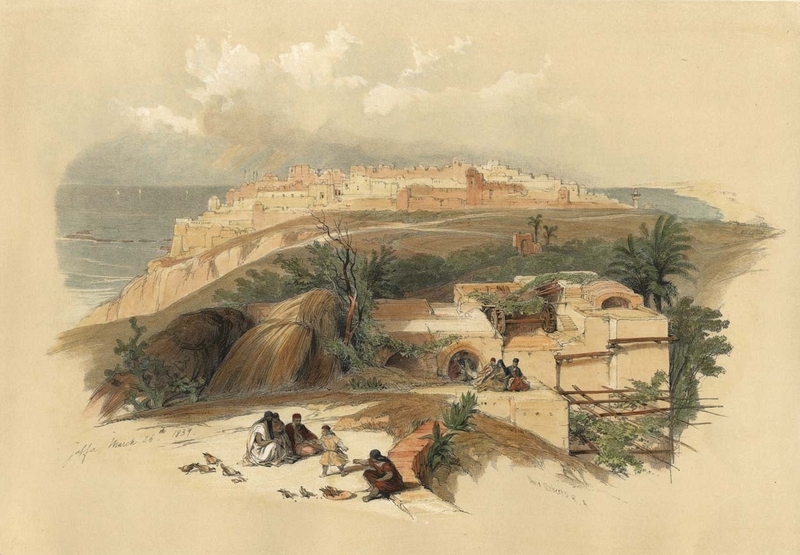 Roberts’ scenes of the Holy Land, replete with accurate and painstaking detail, fed the public appetite for ancient history and biblical narrative found together that scholarship needed to understand. 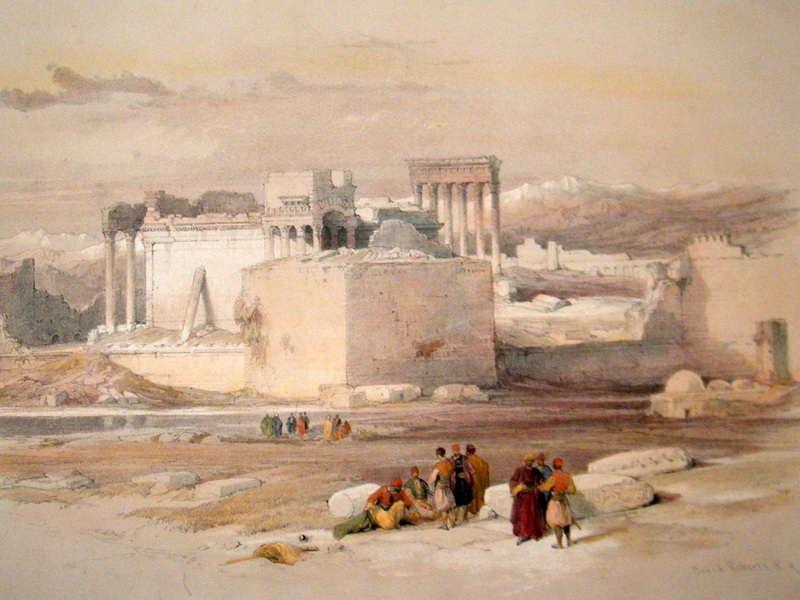 One of the first "archaeological" treatises of the Near East was from Austen Henry Layard’s seminal Nineveh and its Remains, published by John Murray in London, 1849, whose timing immediately followed Roberts’ immensely popular lithograph subscription series (1842-49). 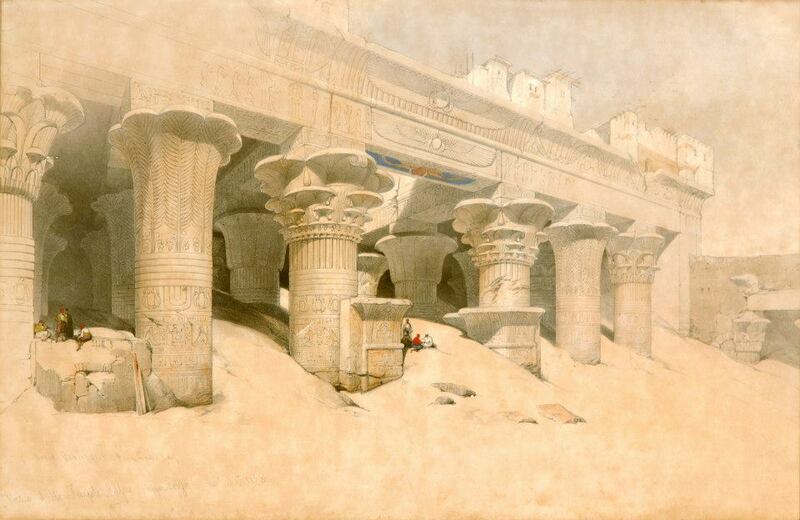 While Roberts didn’t necessarily drive the burgeoning interest in Near Eastern antiquity, it was certainly stimulated thereby. 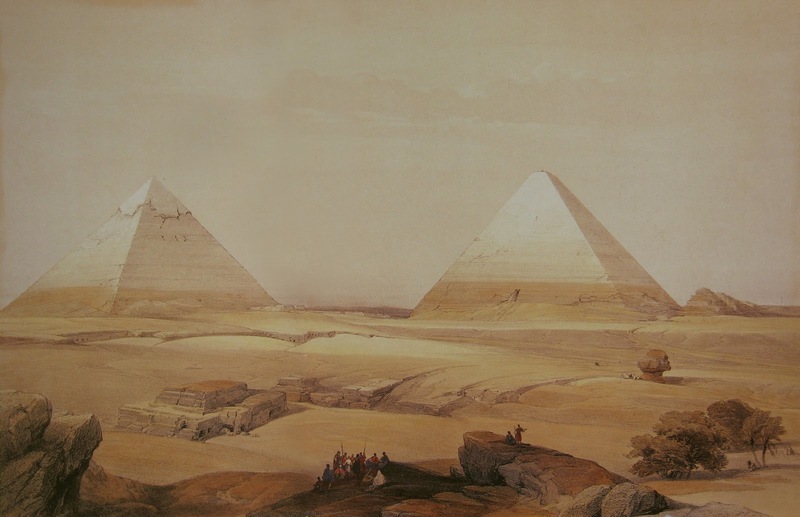 The influence of Roberts on Near Eastern archaeology and his relationship to historical archaeology has been discussed for some time, especially in regards to early travel and accounts. 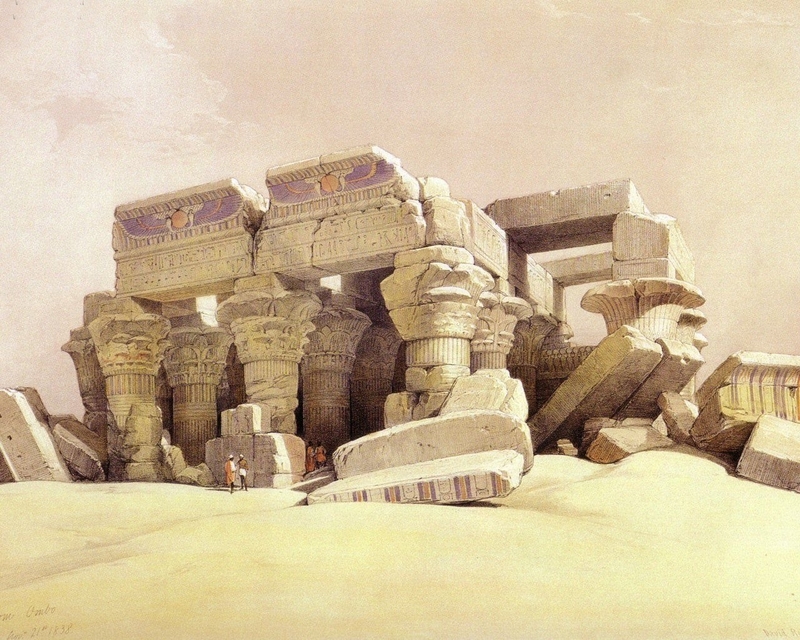 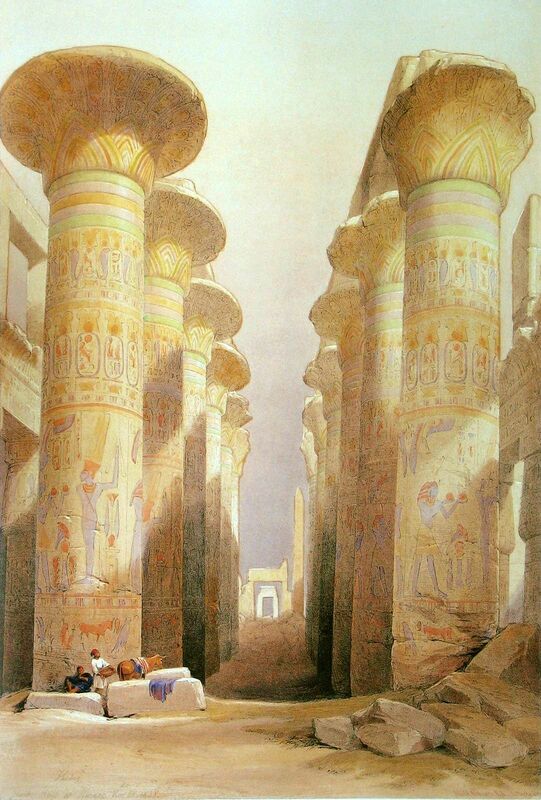 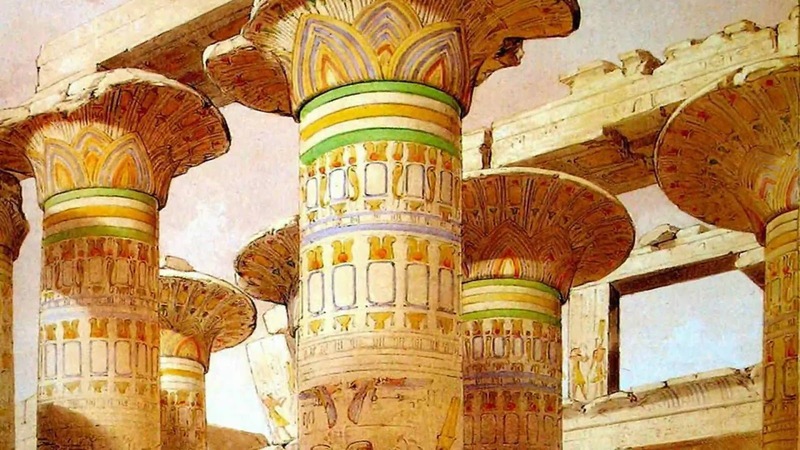 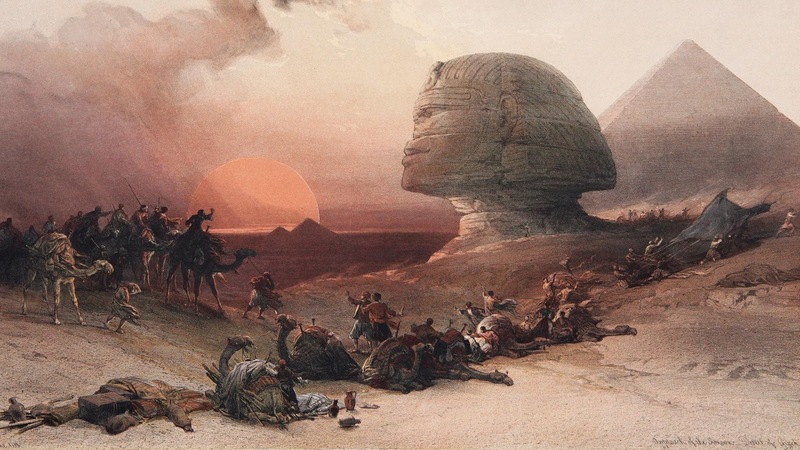 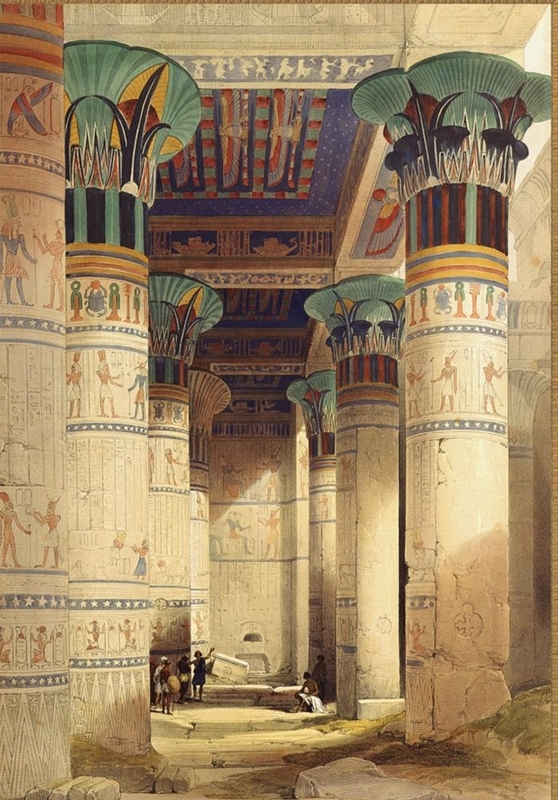 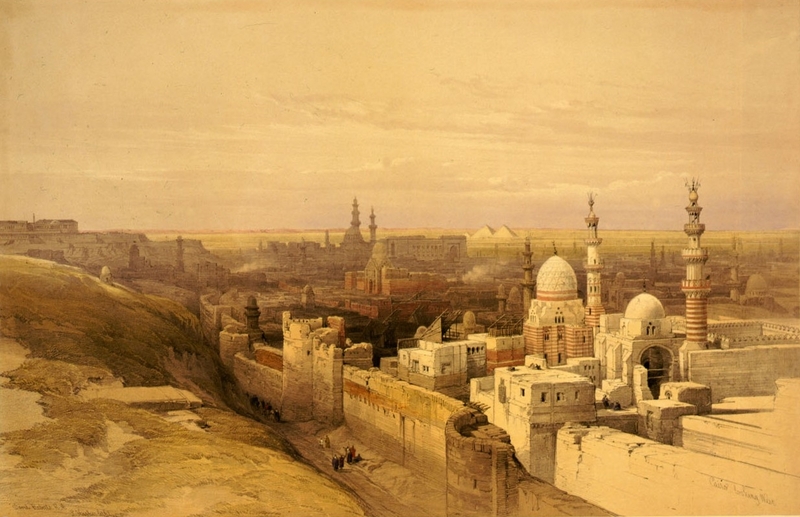 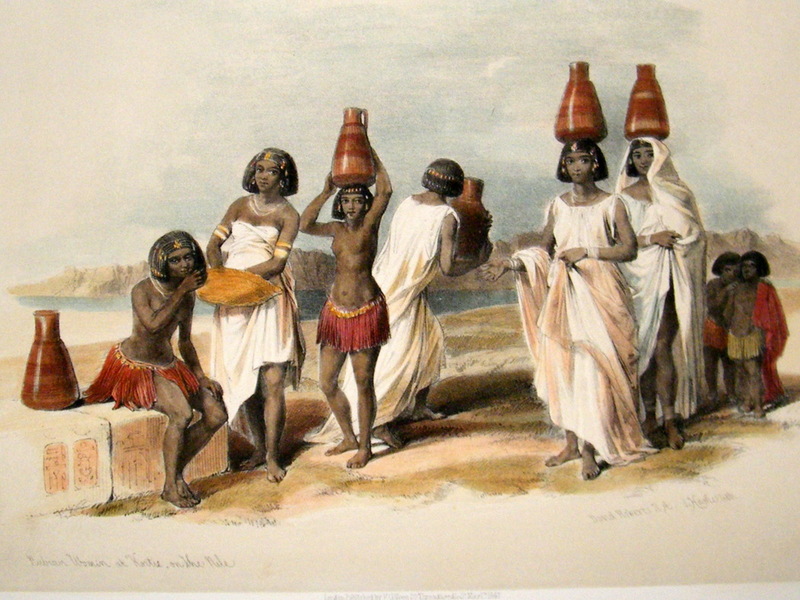 Notable books about Egypt and the "Holy Land" often continue to incorporate Roberts’ paintings or lithographs, frequently even as cover images or in prominent illustrations. 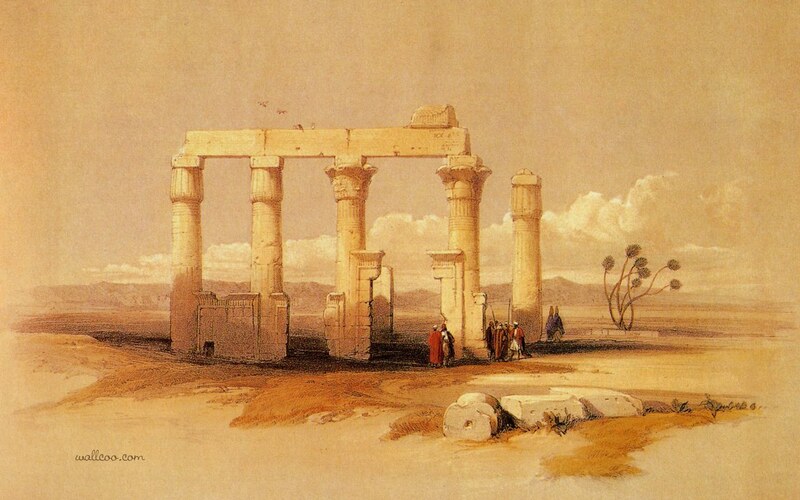 On the one hand, Roberts’ works record the state of many ancient monuments prior to archaeological study. 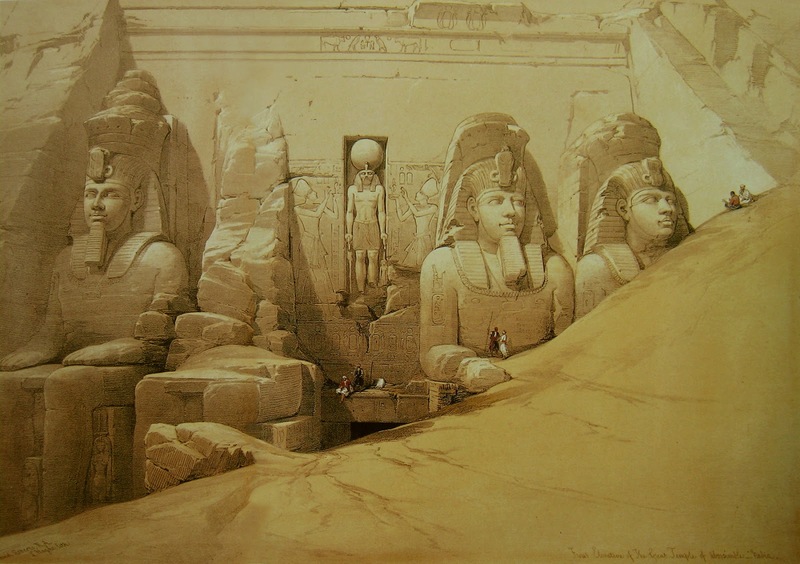 This can be a form of valuable documentation before the advent of photography where Roberts’ accuracy or fidelity to artistic detail can be later established. 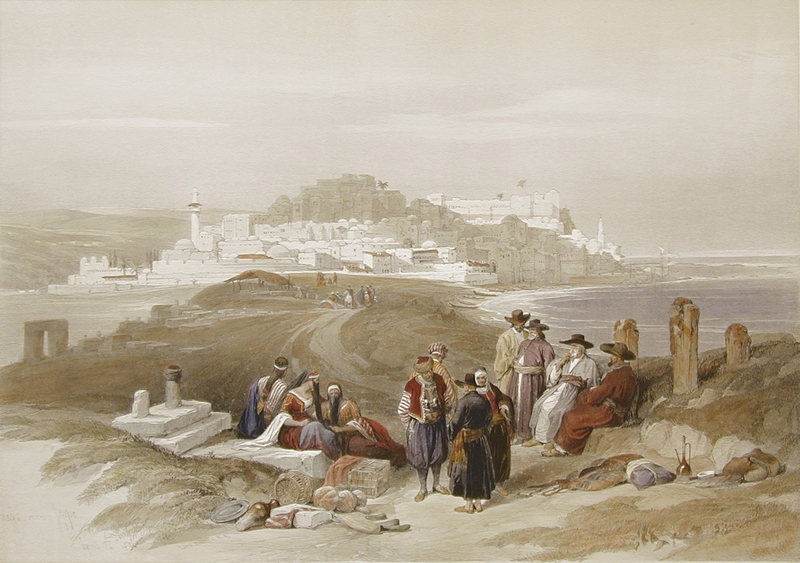 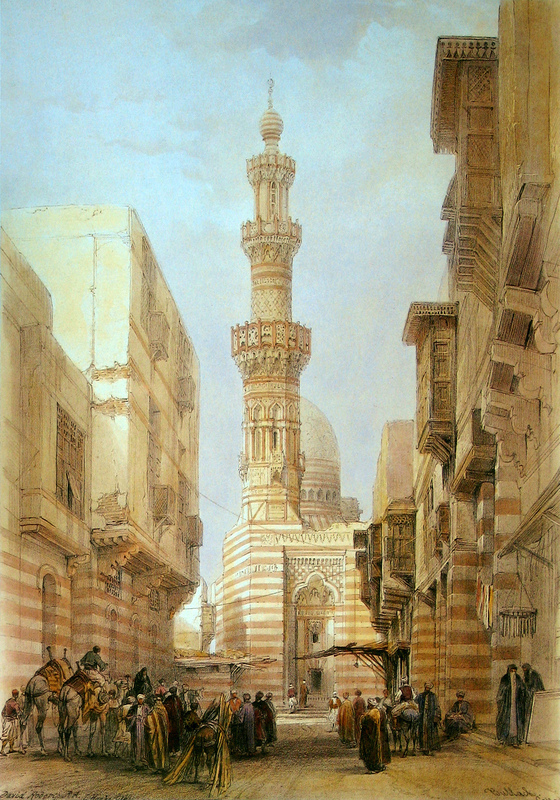 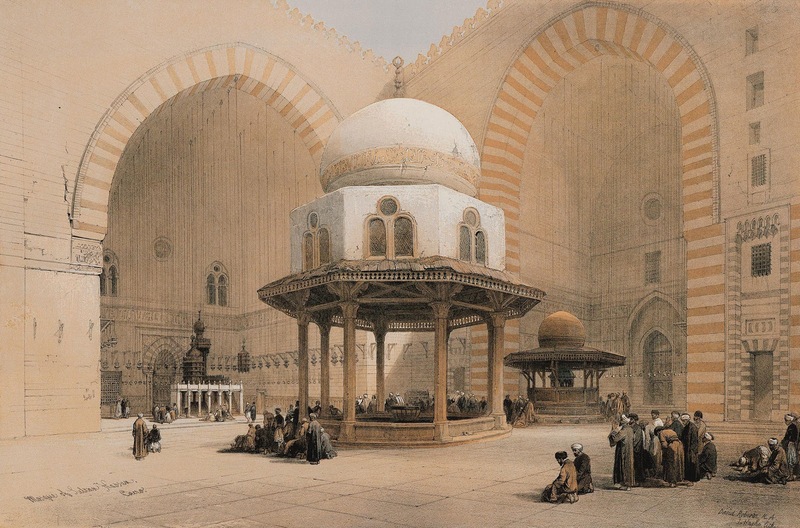 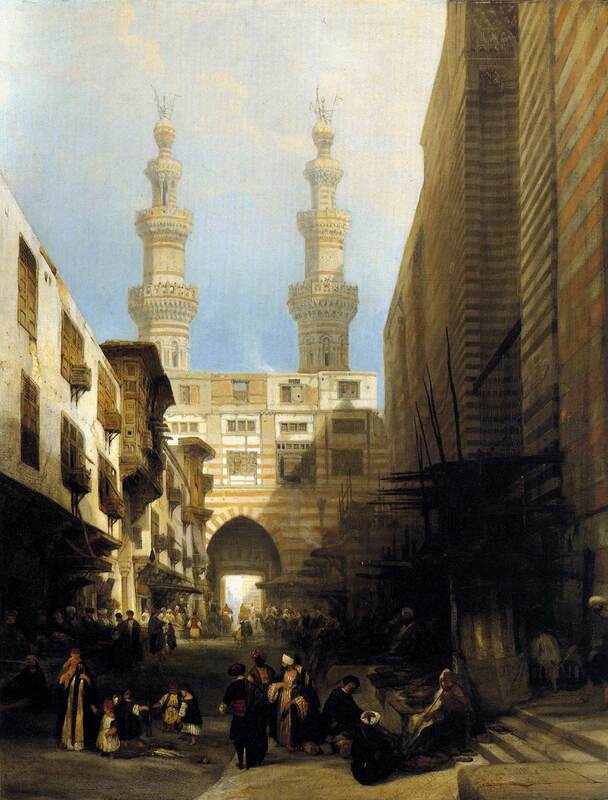 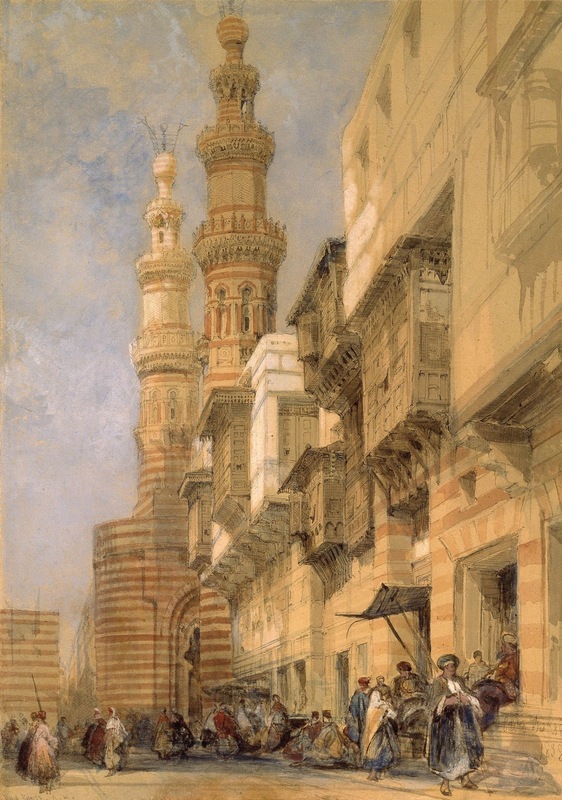 On the other hand, some have even called Roberts’ paintings and lithographs "artifacts themselves of 1830’s Palestine" where Ottoman and related empires had preserved to some degree a mindset that although these were not necessarily part of strict Islamic history since they predated the Prophet himself, patriarchs like Abraham and prophets like Jonah were deeply incorporated into Islamic culture and Islam had layered its own history on top of biblical history. 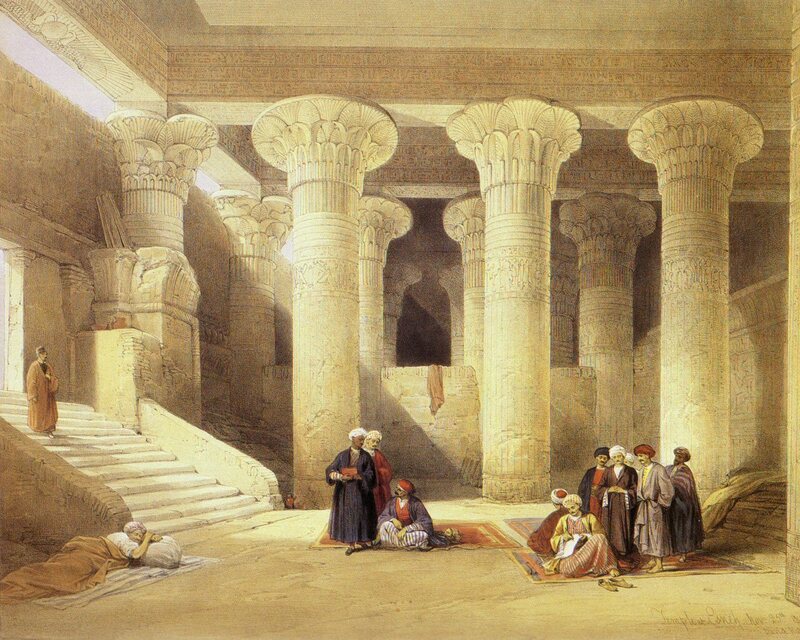 But Roberts’ draftsmanship replaced oral and textual tradition in the Near East with greater artistic acumen than artistic license. 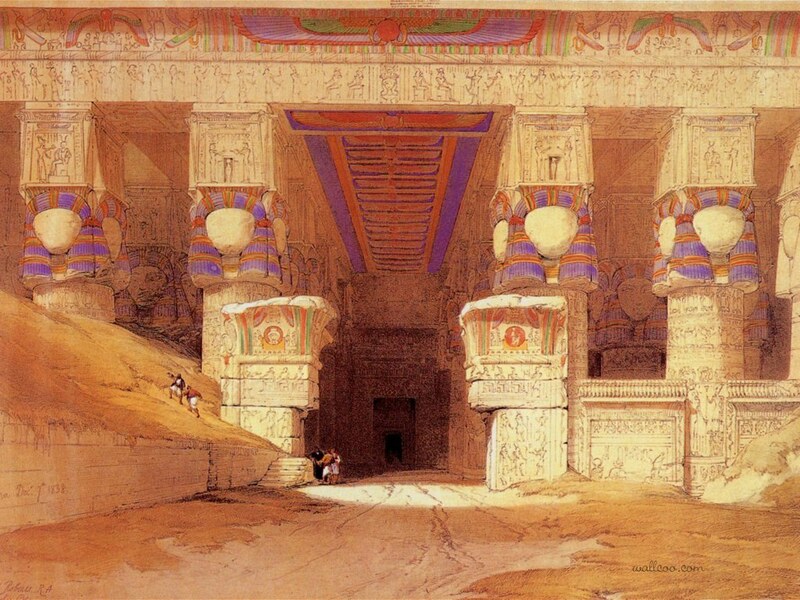 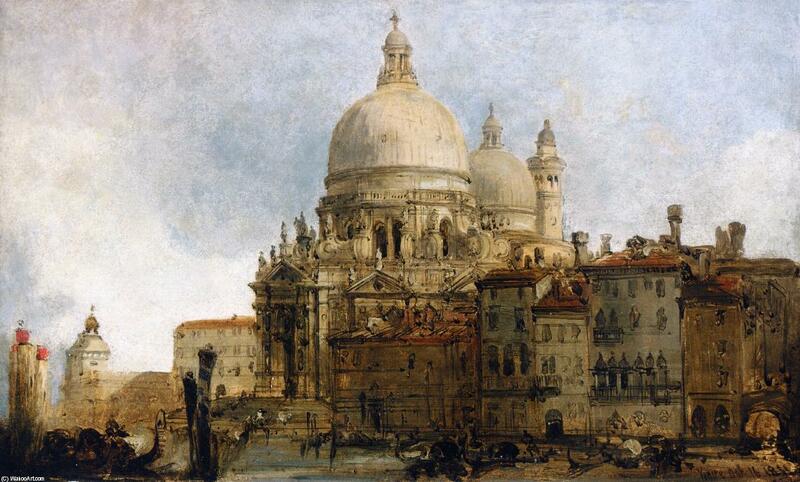 Here follow some encomia of Roberts’ renderings, influence and accuracy. 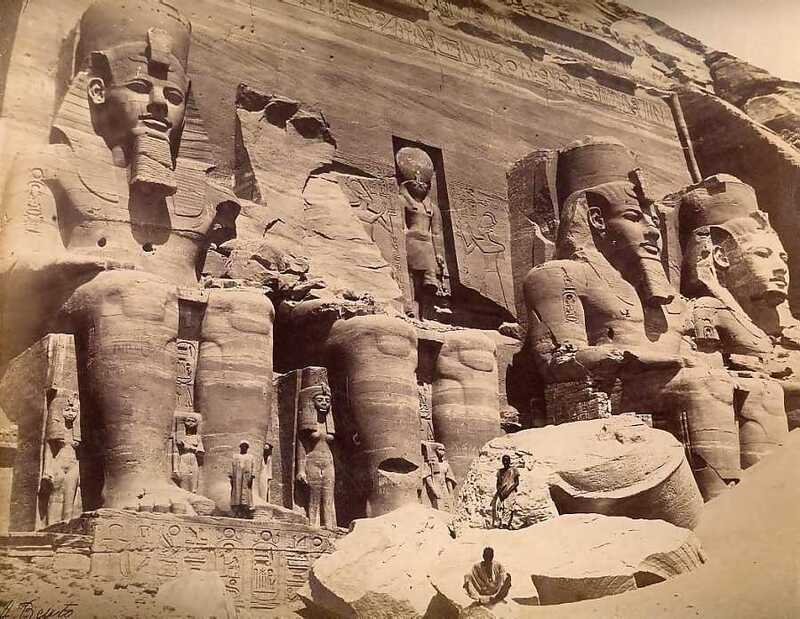 "The colossal statues of Rameses II outside a temple at Abu Simbel caught the imagination of artists like David Roberts, who was enchanted by Egypt as Western archaeologists uncovered its treasures in the nineteenth century". 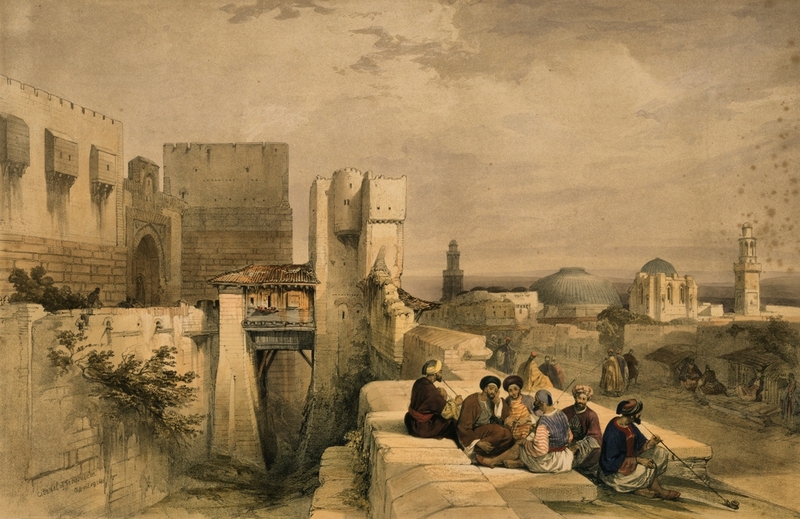 So different than his predecessors and even some who came later, Roberts relied on his own powers of observation rather than slavish copying of others: "…many European painters of the nineteenth century did not travel to the East - neither to Iraq or to Palestine - to see Eastern art in its context. 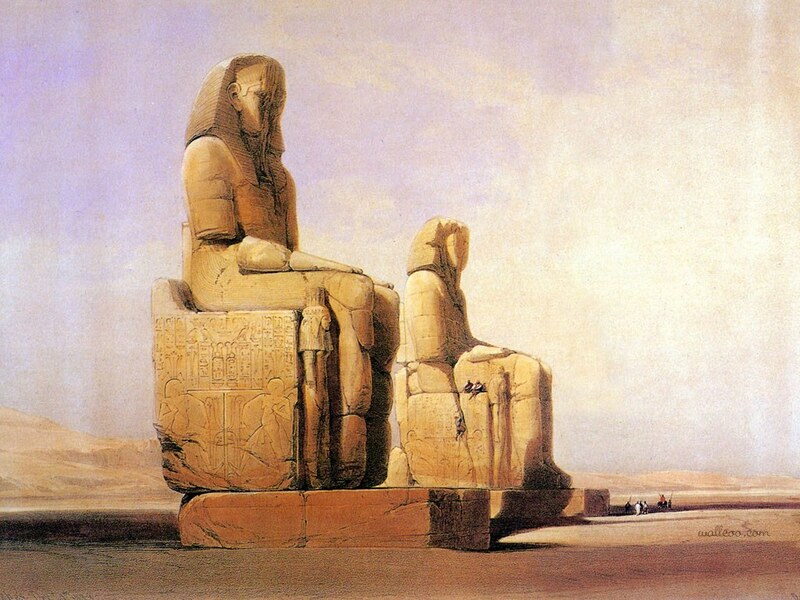 Rather they relied for inspiration on the work of those who did. 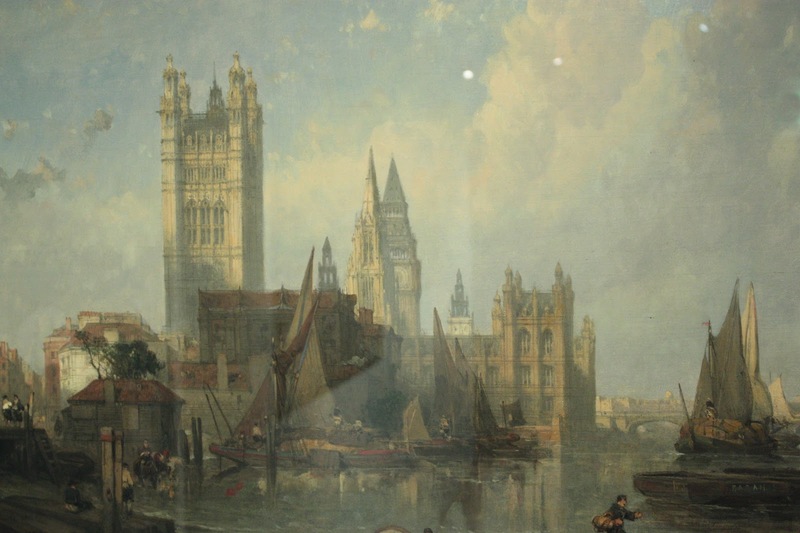 This is perhaps one reason that the work of British artist David Roberts is so important. 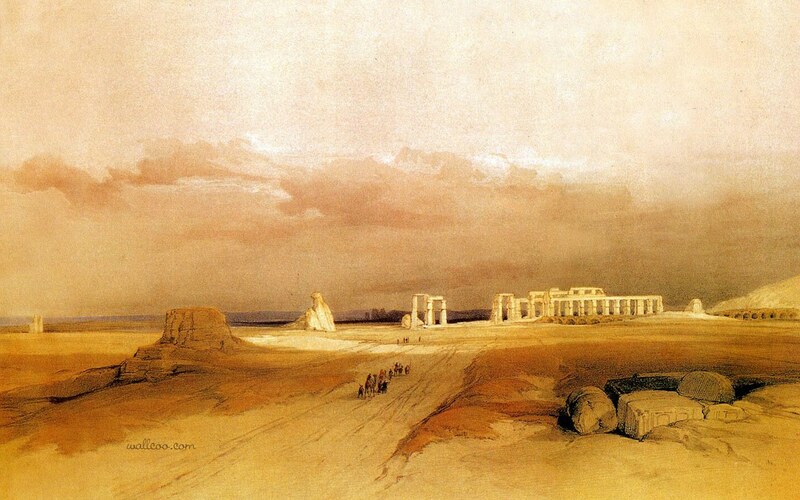 Roberts is the rare exception - an artist who did travel to Egypt and Palestine". 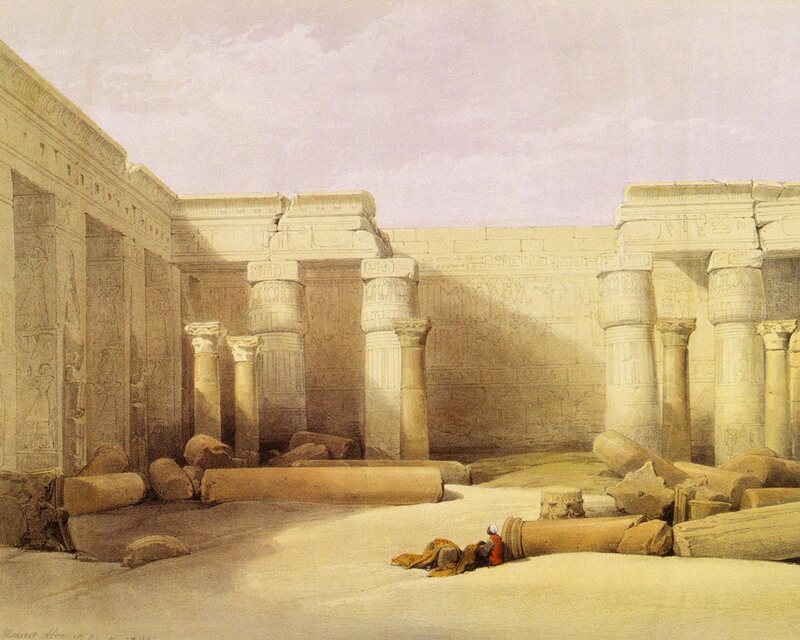 Whether or not Roberts himself began to train the observant eyes of archaeologists is moot, but what had been controversially termed "Biblical Archaeology" is nonetheless often associated with his era in an era when many religious enthusiasts were looking for material evidence of biblical accounts, "before archaeology became a scholarly endeavor…David Roberts was no archaeologist. 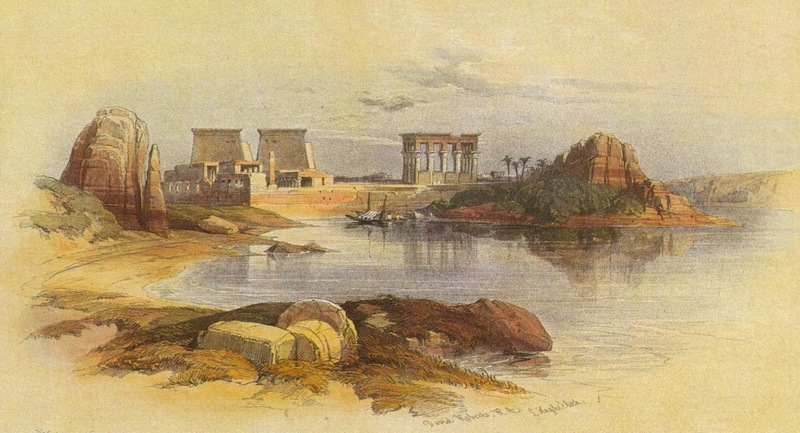 But thanks to his scores of lithographs of the Holy Land, he may have done more to popularize ancient sites in the Near East than anyone else in the 19th century". 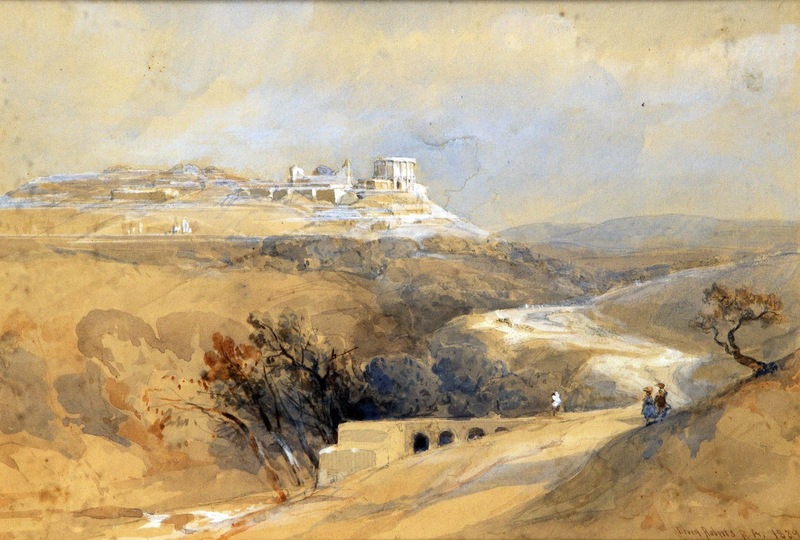 Edward Robinson (1794-1863), the American "Father of Biblical Geography" and "founder of modern Palestinology" traveled to Palestine only a few months before Roberts and published his Biblical Researches in Palestine in 1841 where he "identifies the sites of the Biblical narrative, creating Biblical Archaeology". 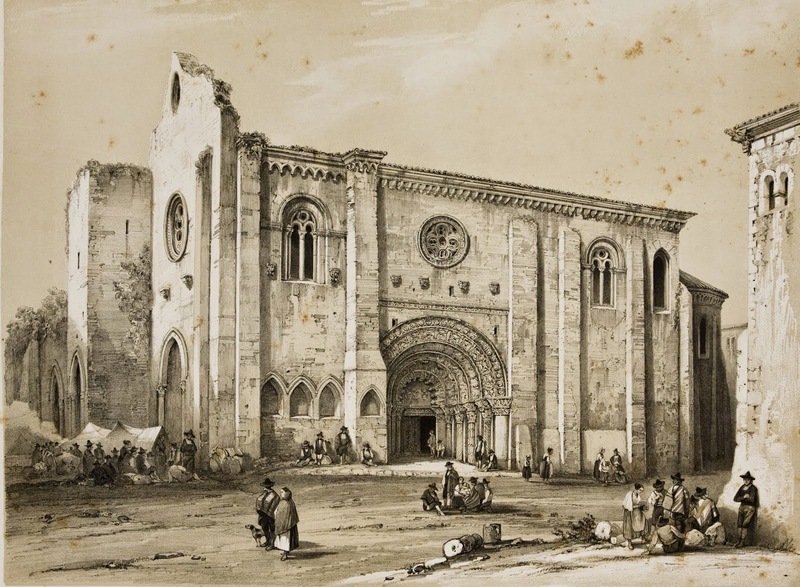 Robinson may have been the first to relocate Hezekiah’s Tunnel in Jerusalem as well as formally study what is still called "Robinson’s Arch" in that city, teaching in New York at Union Theological Seminary from 1837-63. 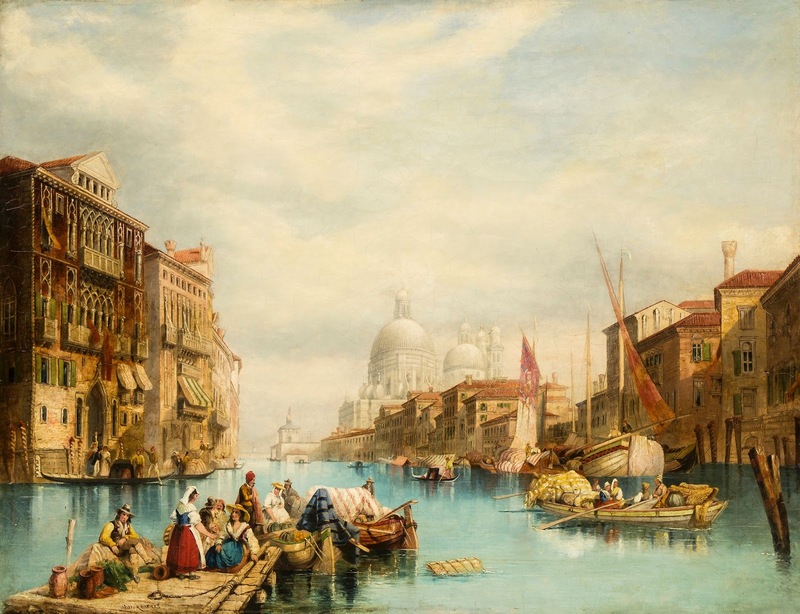 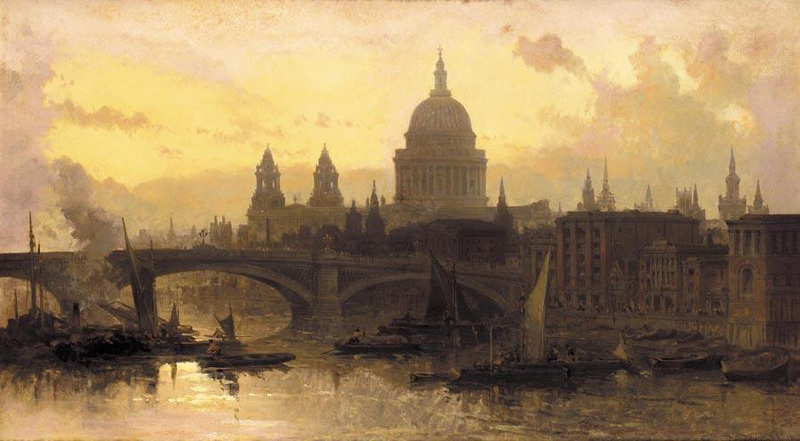 David Roberts (Stockbridge, 24 ottobre 1796 - 25 novembre 1864) è stato un pittore Scozzese / Britannico. 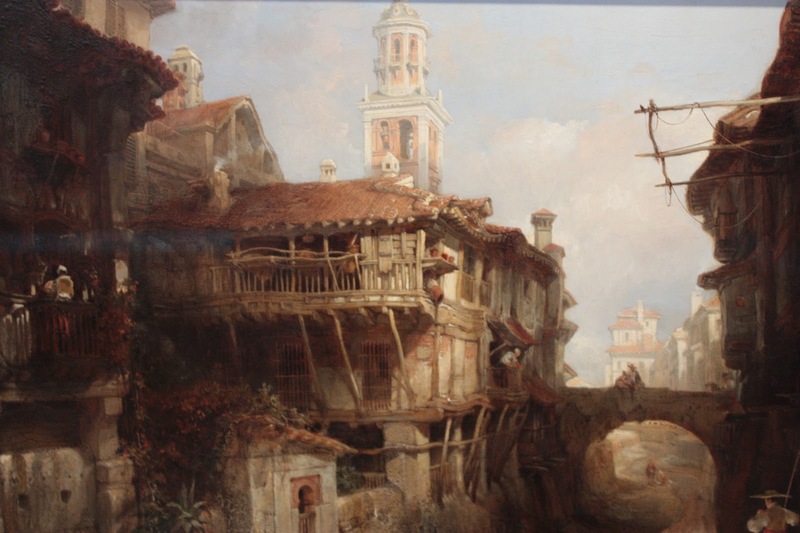 Nato a Stockbridge, presso Edimburgo, iniziò la propria attività unendo un lungo periodo di apprendistato presso un decoratore ad un intenso studio serale della storia dell'arte, soprattutto degli Impressionisti e dei Romantici. 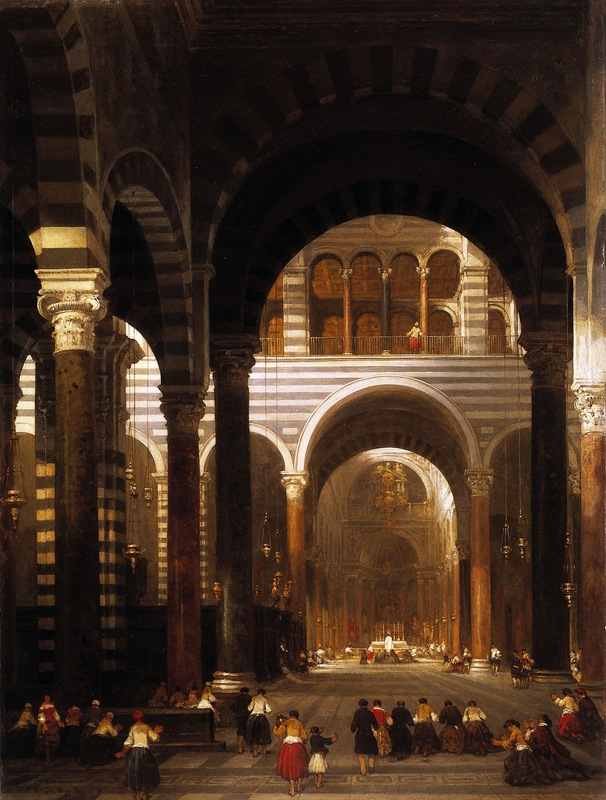 Nel 1820 conobbe il pittore Clarkson Stanfield, che lo introdusse agli ambienti del Pantheon di Edimburgo per la cui esposizione Exhibition of Works by Living Artists realizzò tre dipinti nel 1822. 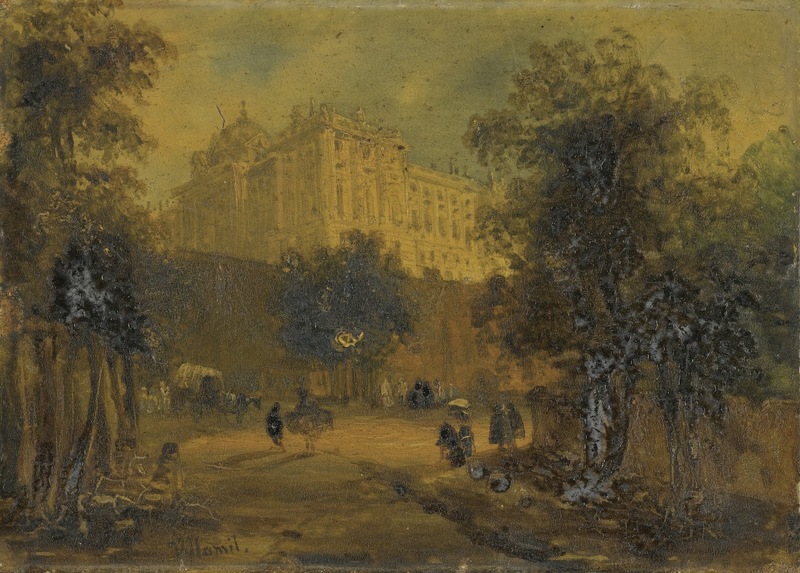 Nello stesso anno si trasferì a Londra, dove lavorò come scenografo per il Coburg Theatre. 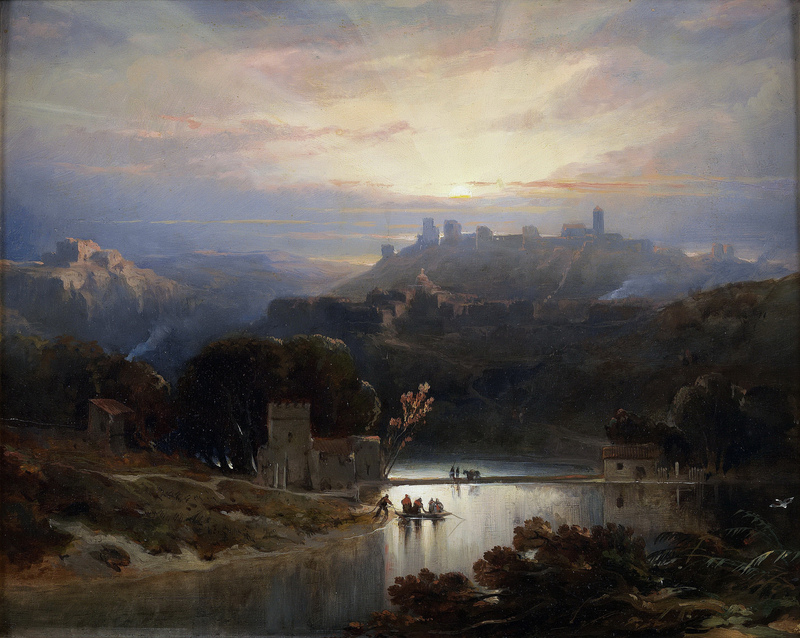 Nel 1824 partecipò all'esposizione della British Institution con una vista di Dryburgh Abbey ed inviò due opere alla prima esposizione della Society of British Artists, di cui divenne presidente nel 1831. 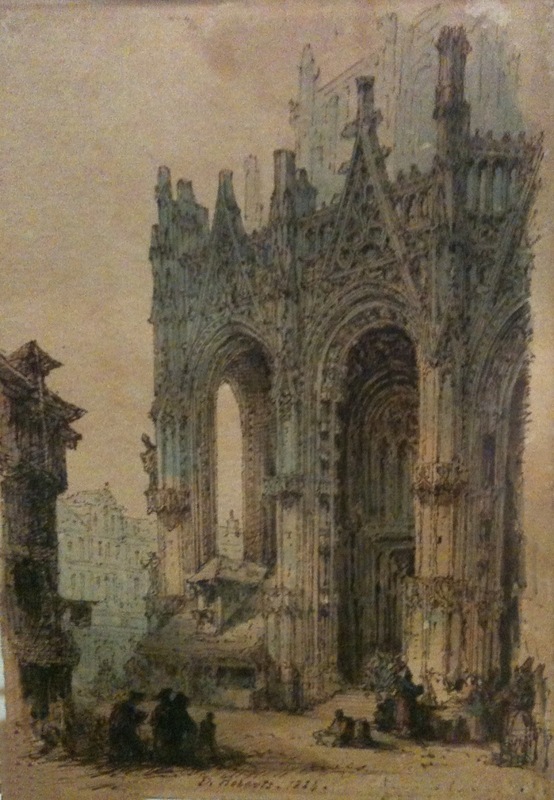 Nello stesso autunno si recò in Normandia e realizzò alcune delle opere che l'avrebbero reso famoso, tra cui una veduta della Cattedrale di Rouen. 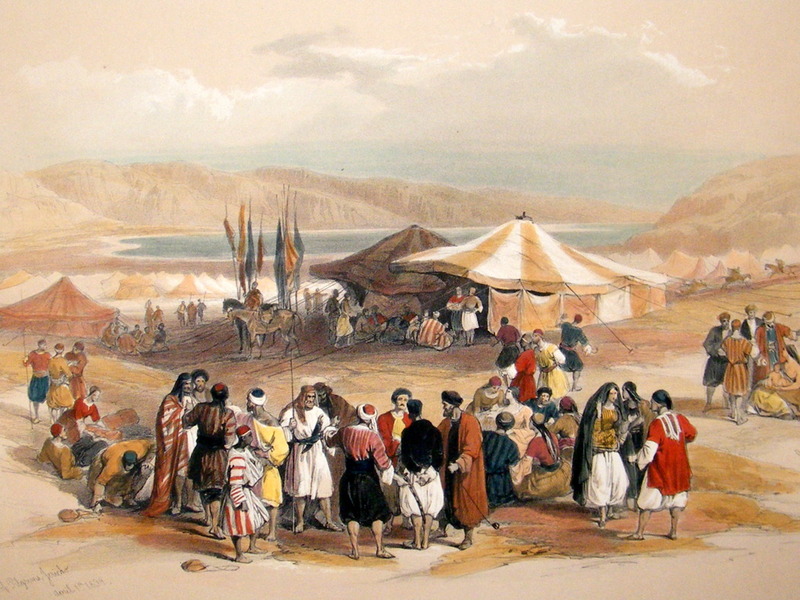 Due anni dopo realizzò le scenografie originali per l'opera The Seraglio e per una pantomima di rievocazione della battaglia navale di Navarino. 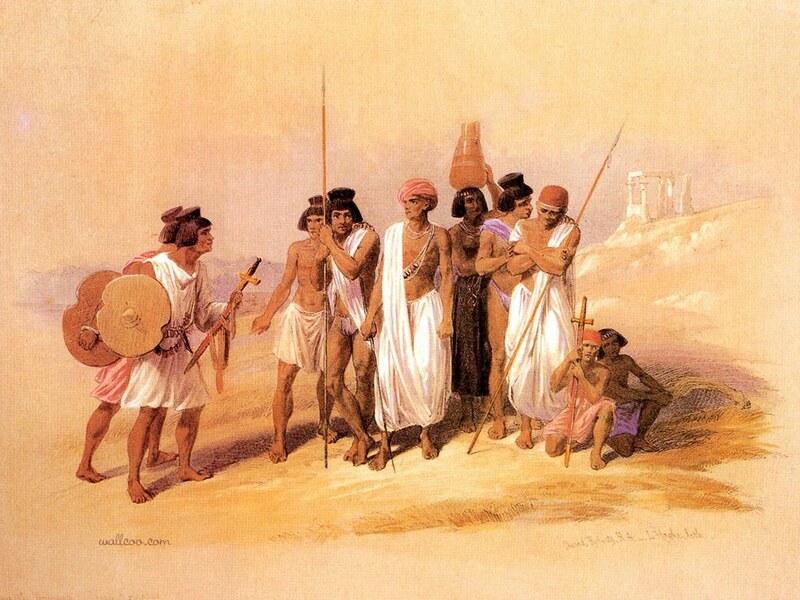 Nel 1829 espose la sua prima opera con un proprio carattere, Departure of the Israelites from Egypt, in cui le caratteristiche salienti di quella che sarebbe stata la sua cifra stilistica iniziarono ad essere evidenti: tre anni dopo, iniziò i suoi viaggi in Spagna e specialmente a Tangeri, da cui tornò nel 1833 con un consistente portfolio di disegni, schizzi e studi. 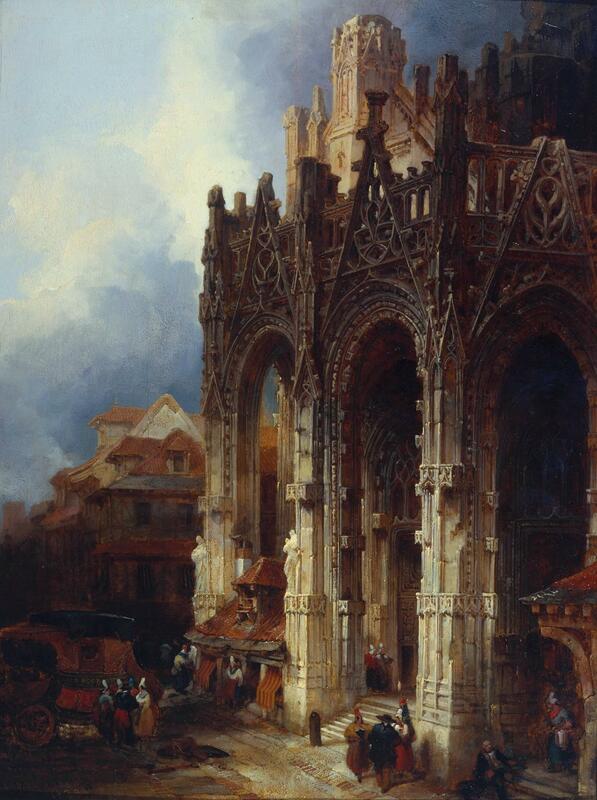 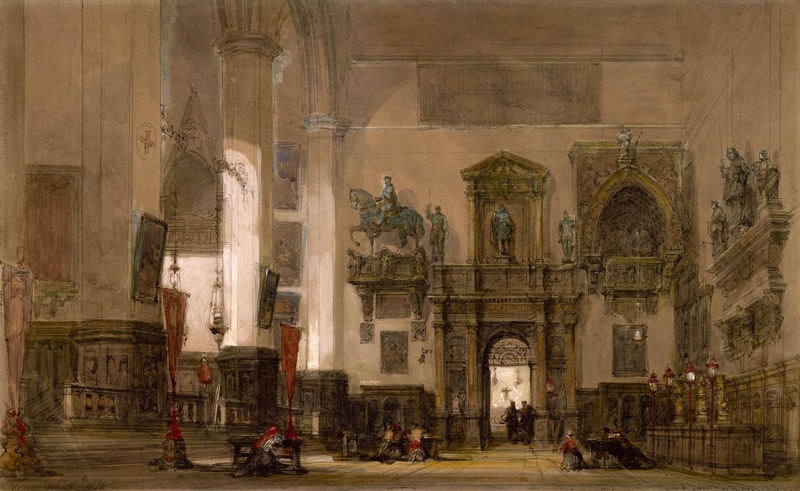 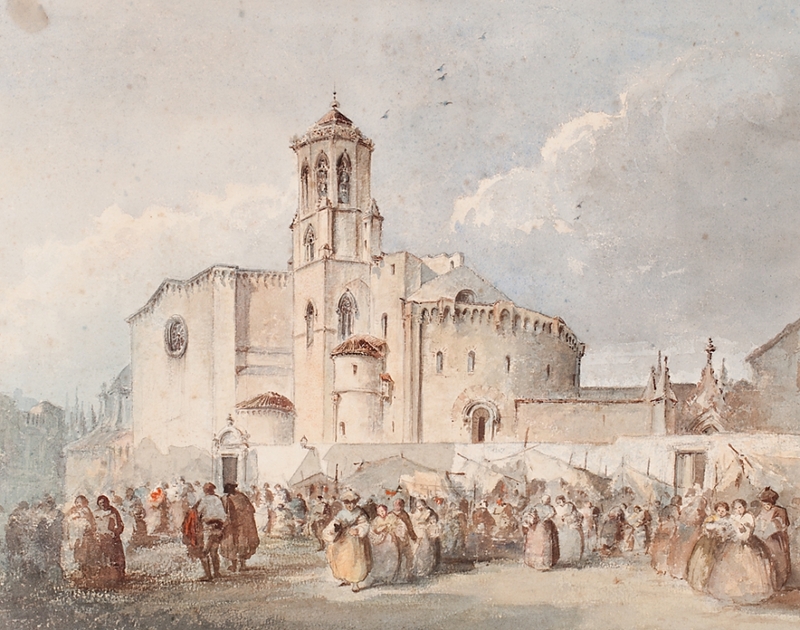 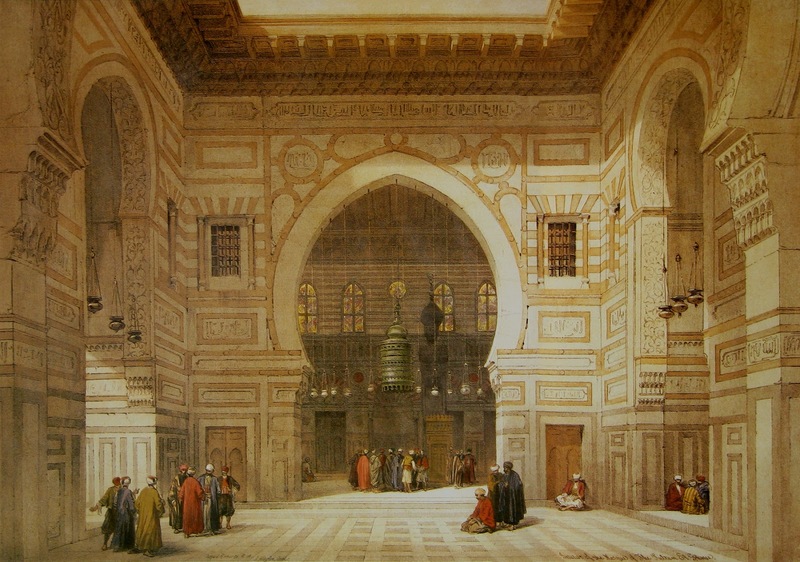 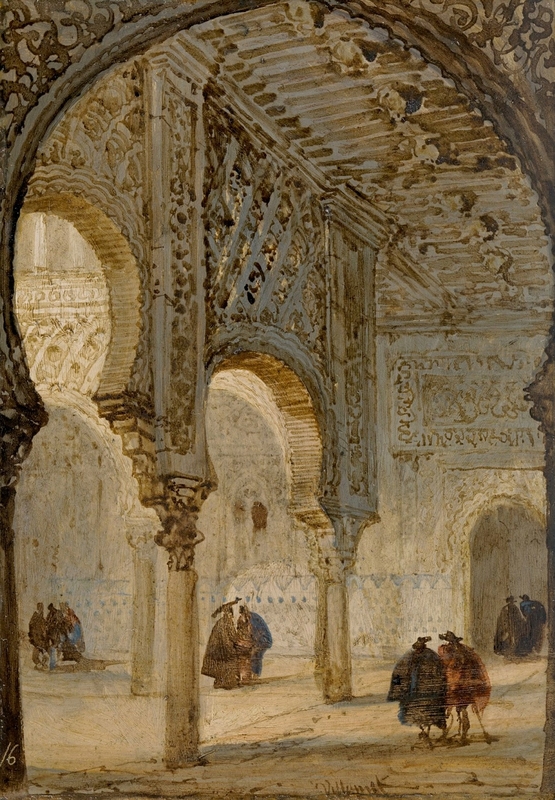 Da questi bozzetti, trasse alcune delle sue opere più popolari tra cui il suo Interior of Seville Cathedral, esposto alla British Institution nel 1834, alcune illustrazioni per il Landscape Annual del 1836 e i suoi Picturesque Sketches in Spain, riprodotti in litografia nel 1837. 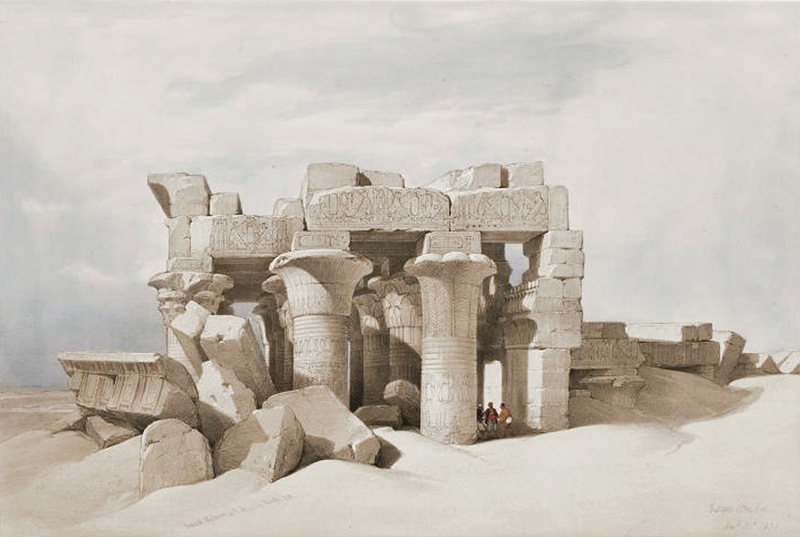 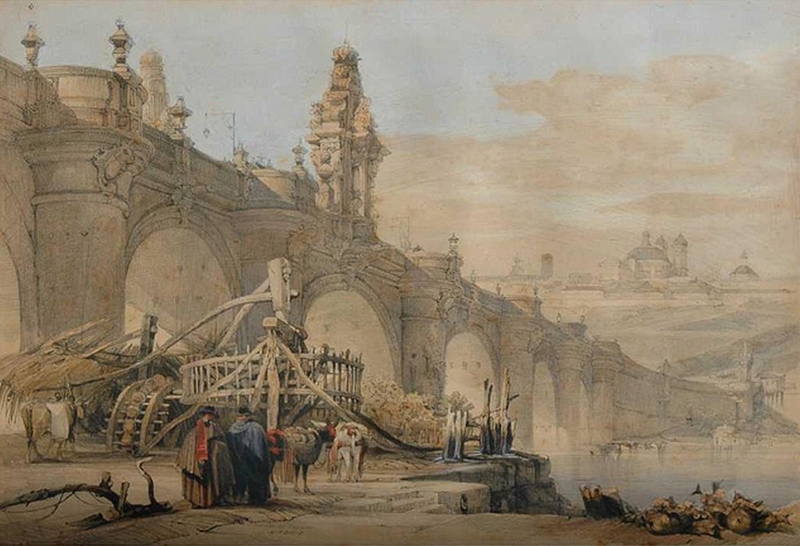 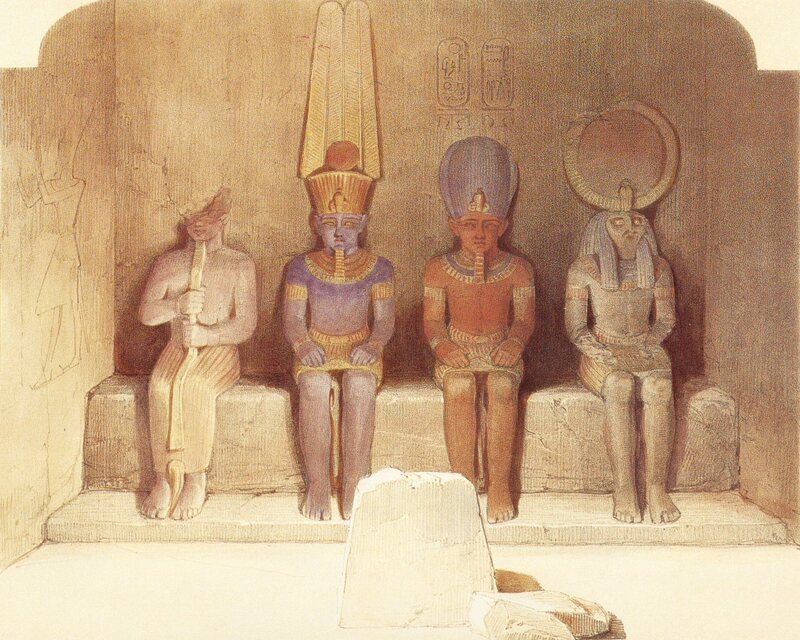 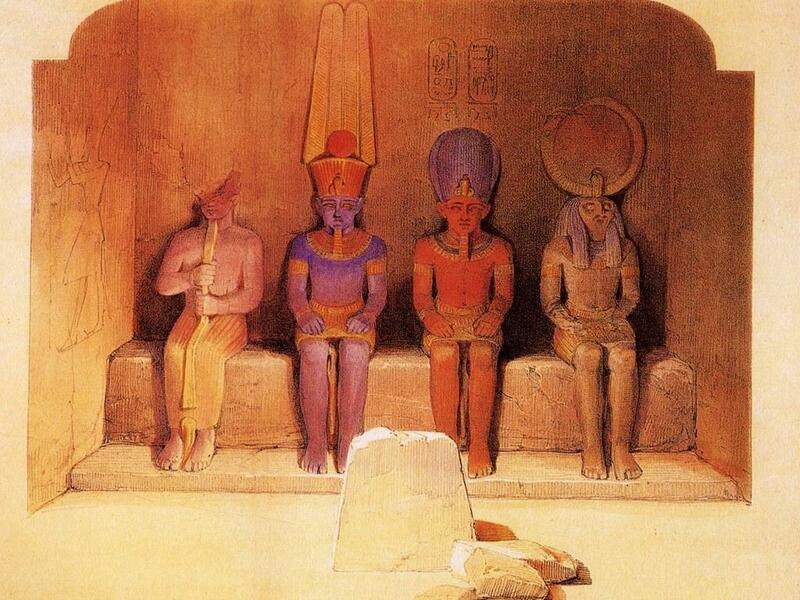 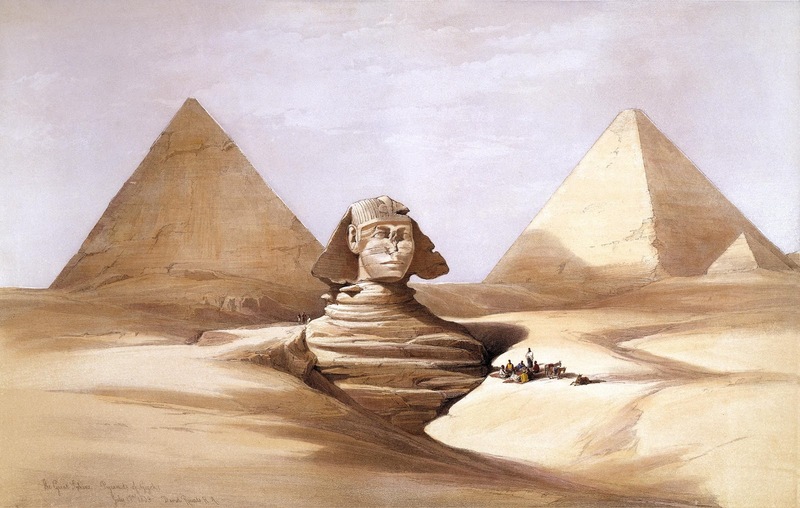 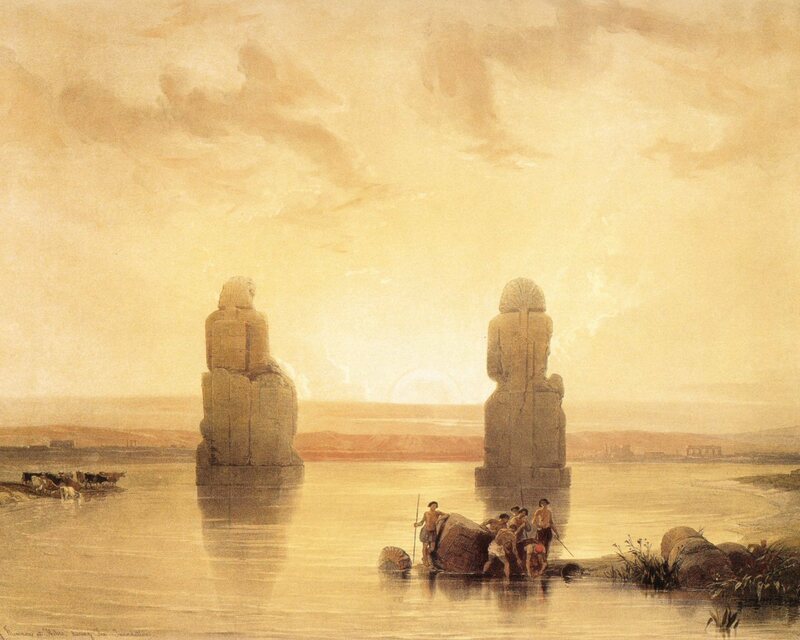 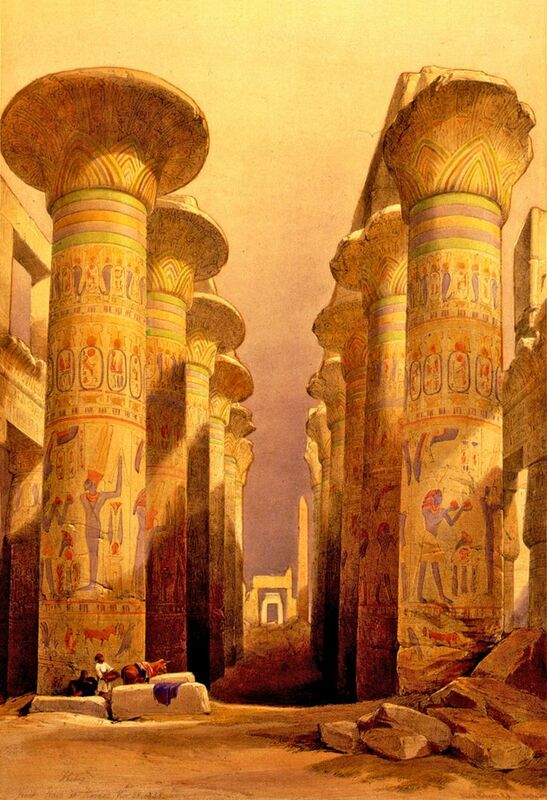 Qualche anno più tardi, su pressione di Turner, abbandonò la pittura di paesaggio e il 31 agosto 1838 partì per l'Egitto con l'intenzione di raccogliere materiale per futuri dipinti. 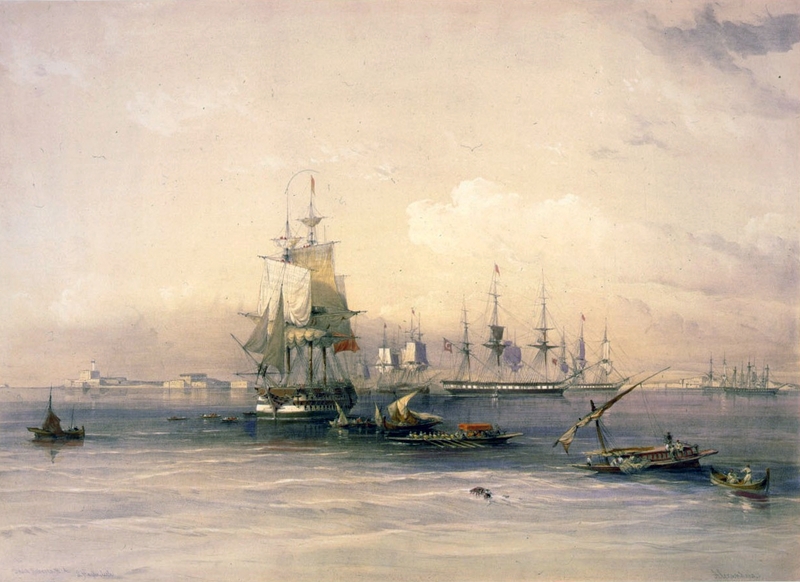 Giunse in oriente nel 1838 e realizzò sul posto numerosi disegni ed acquerelli che vennero venduti in patria ancora prima del suo ritorno, oltre agli schizzi preparatori di quelle che sarebbero state le sue più famose litografie. 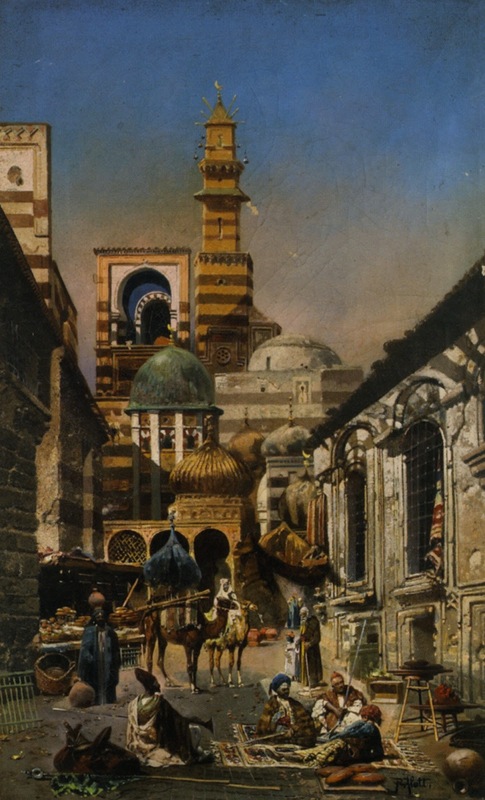 Venne ricevuto dal Muhammad Ali Pasha ad Alessandria il 16 maggio 1839, poco prima del suo ritorno a Londra. 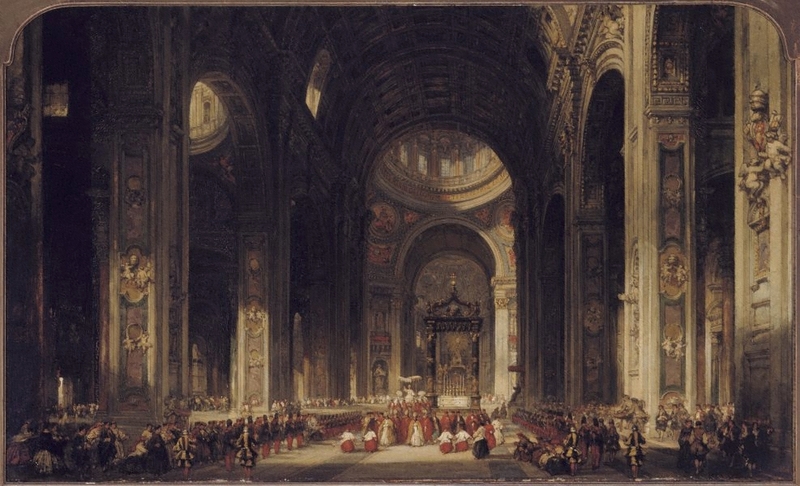 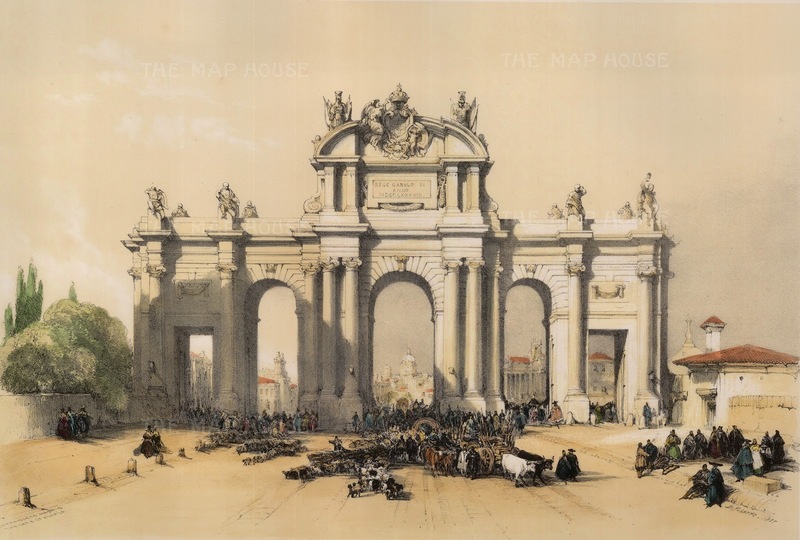 Nel 1851, e successivamente nel 1853, si recò in Italia dove realizzò dove dipinse il Palazzo Ducale di Venezia, acquistato da Lord Londesborough, gli Interni della Basilica di San Pietro a Roma nel Natale del 1853, e Roma dal Chiesa di Sant'Onofrio al Gianicolo, donato alla Royal Scottish Academy. 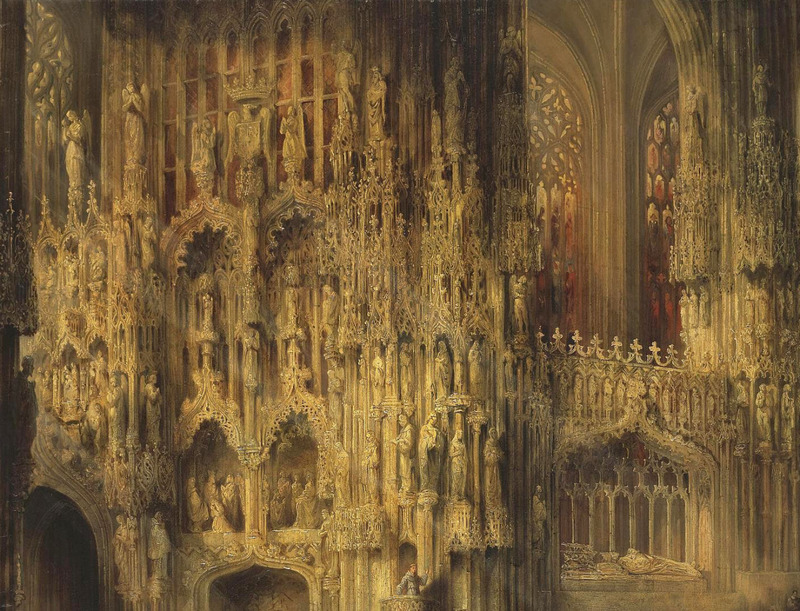 Passò gli ultimi anni della sua vita in patria, realizzando alcune vedute di Londra e del Tamigi: morì di un colpo apoplettico nella cattedrale di San Paolo mentre stava realizzando un dipinto del suo interno.